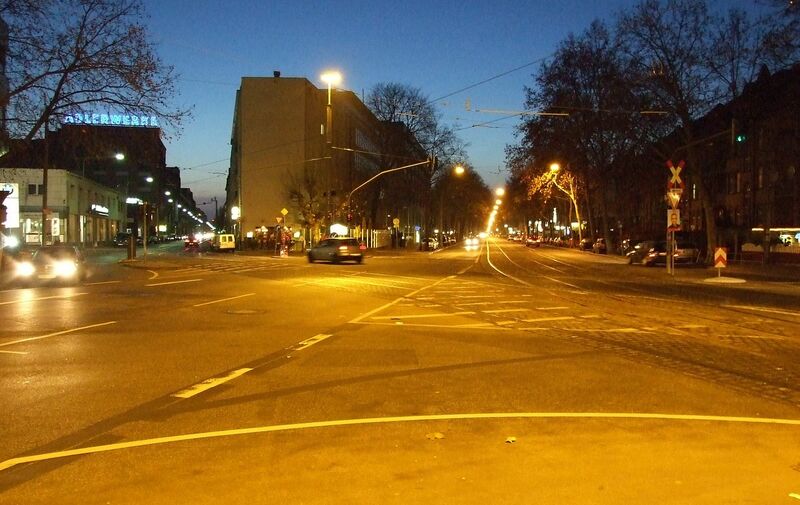 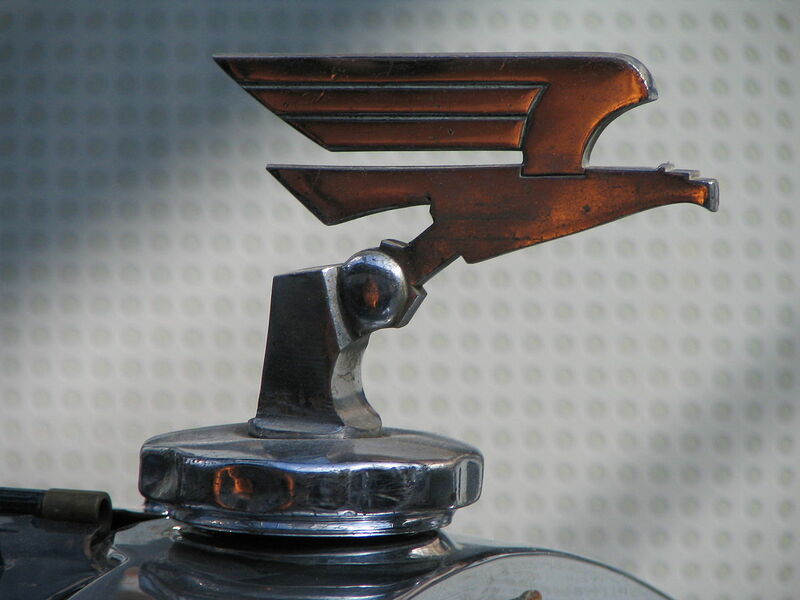 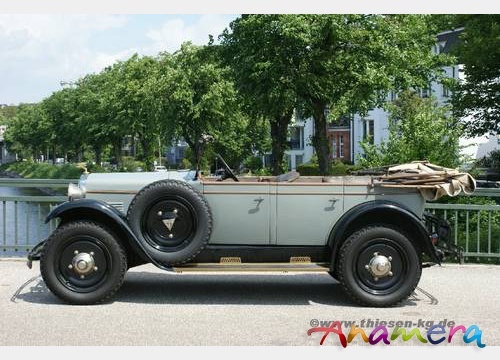 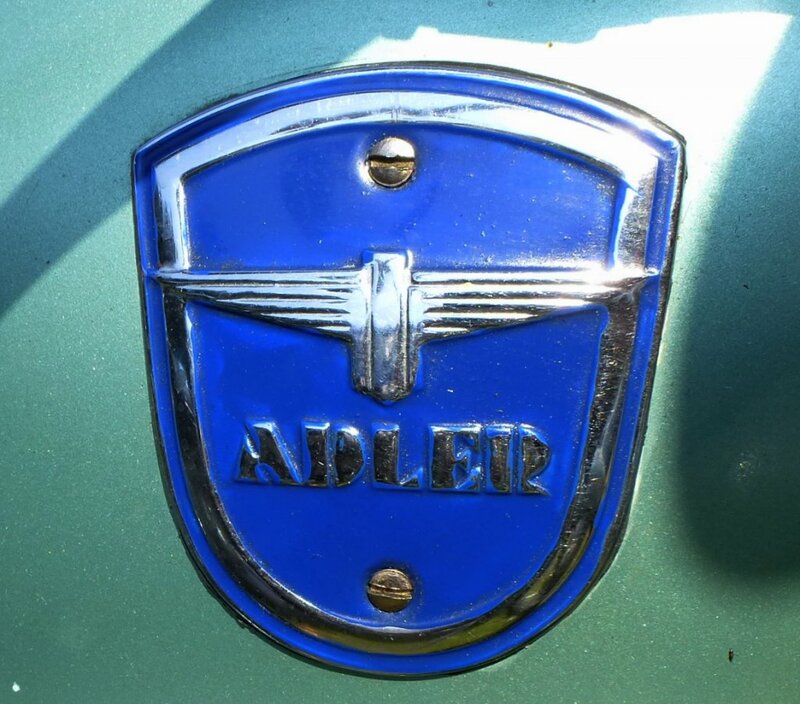 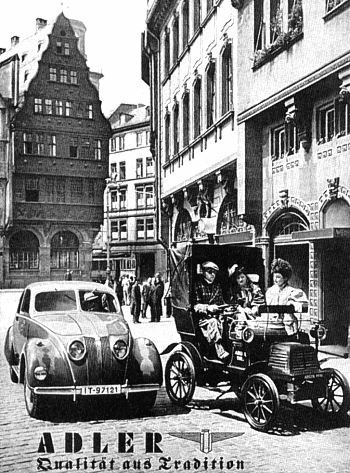 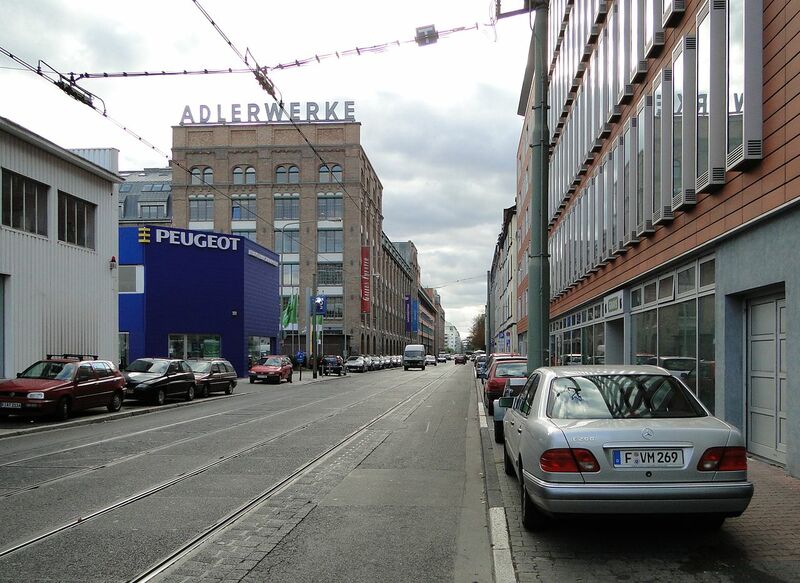 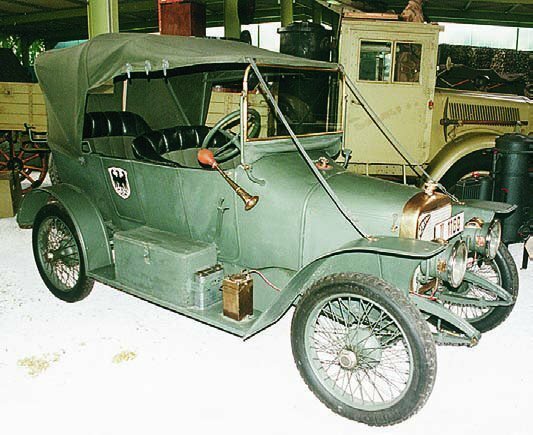 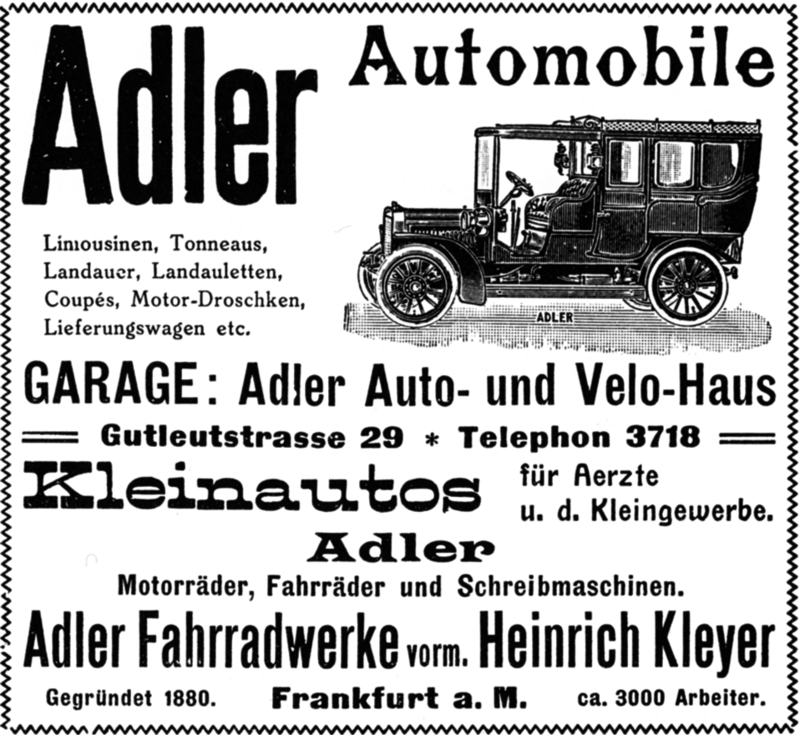 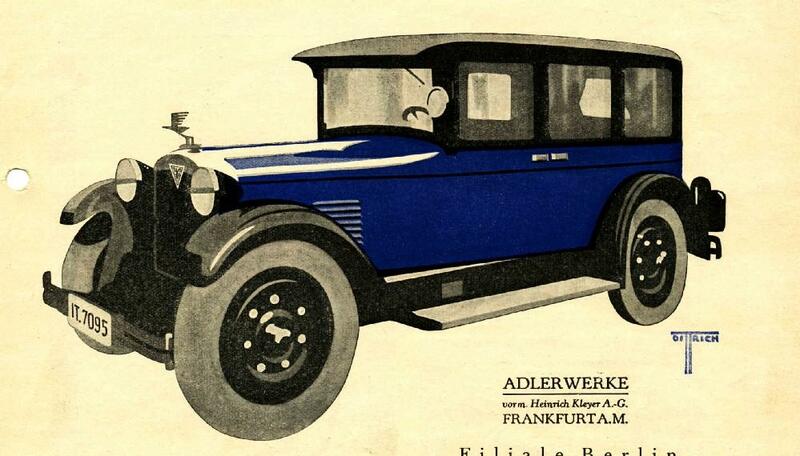 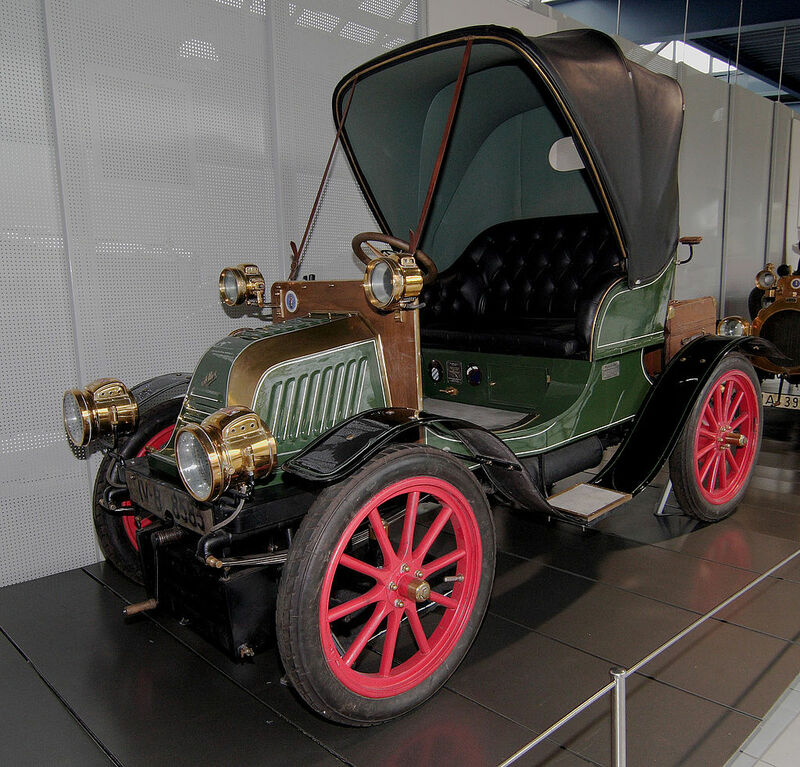 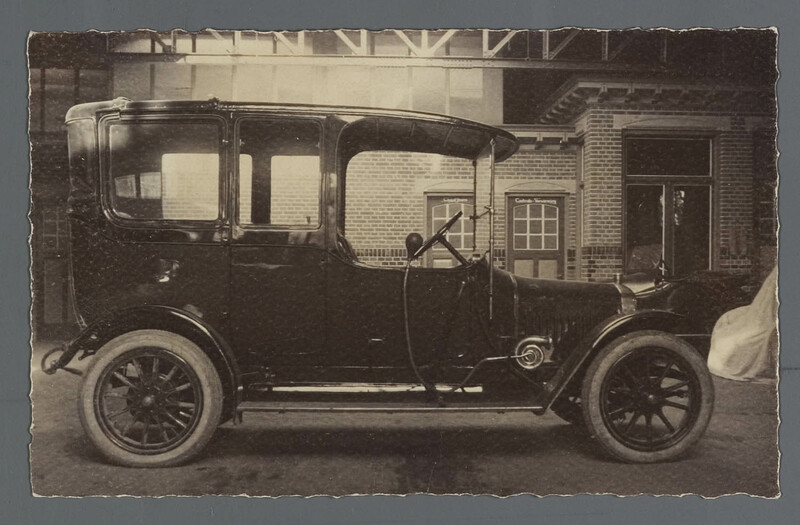 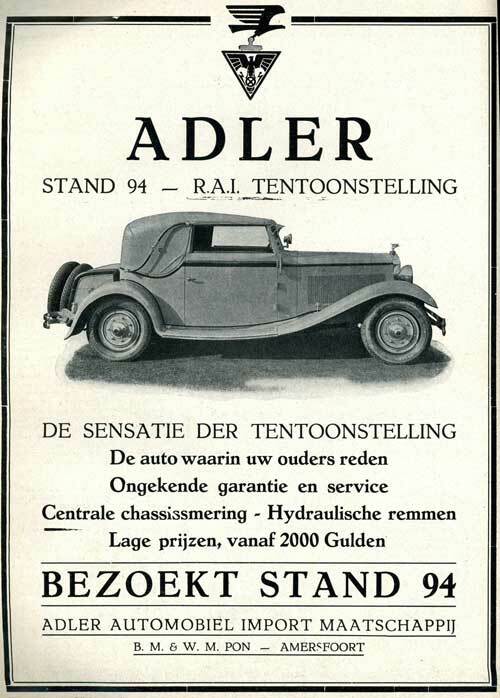 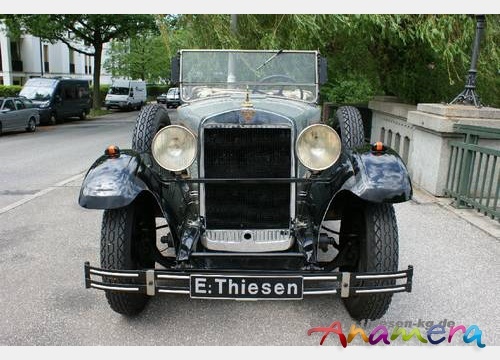 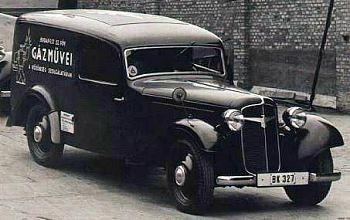 Adler was a German automobile and motorcycle manufacturer from 1900 until 1957. 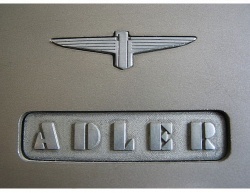 Adler is German for eagle. 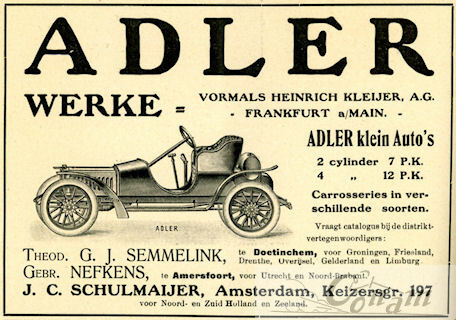 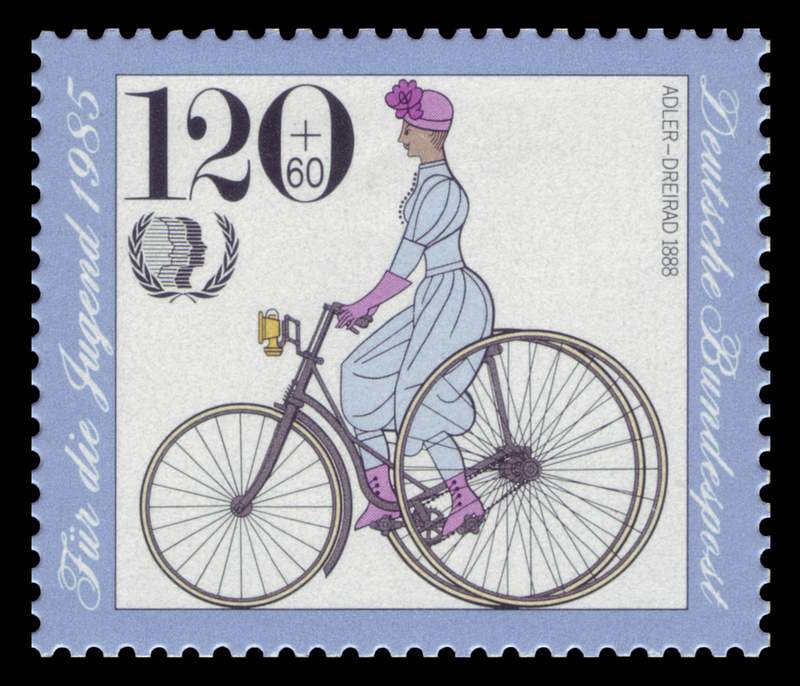 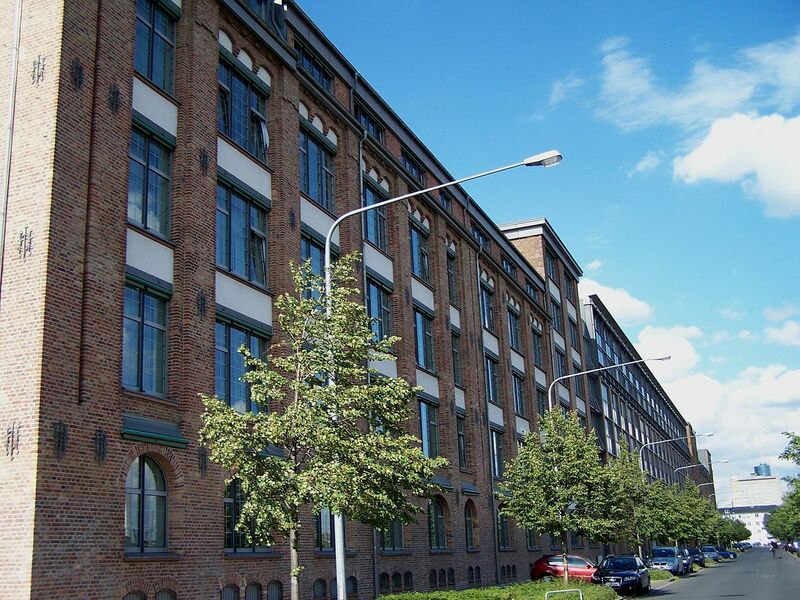 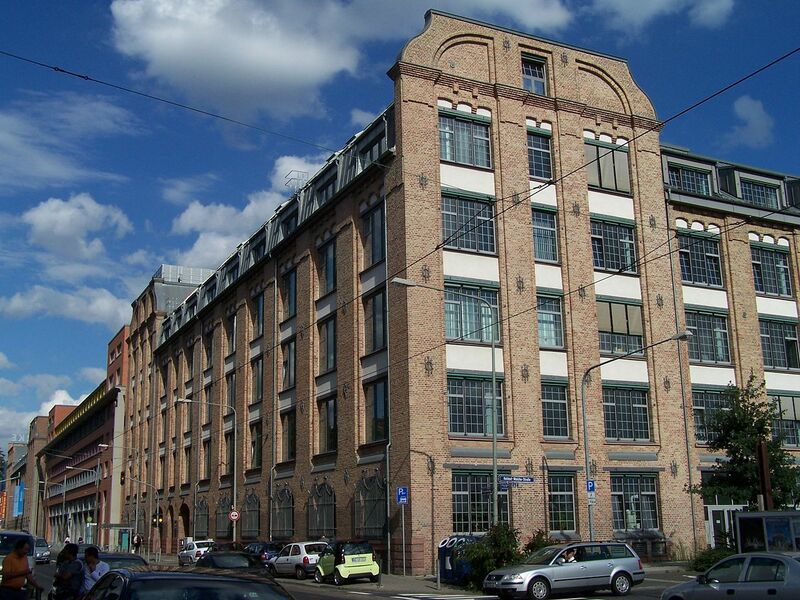 The Adler factory produced bicycles, typewriters, and motorcycles in addition to cars. 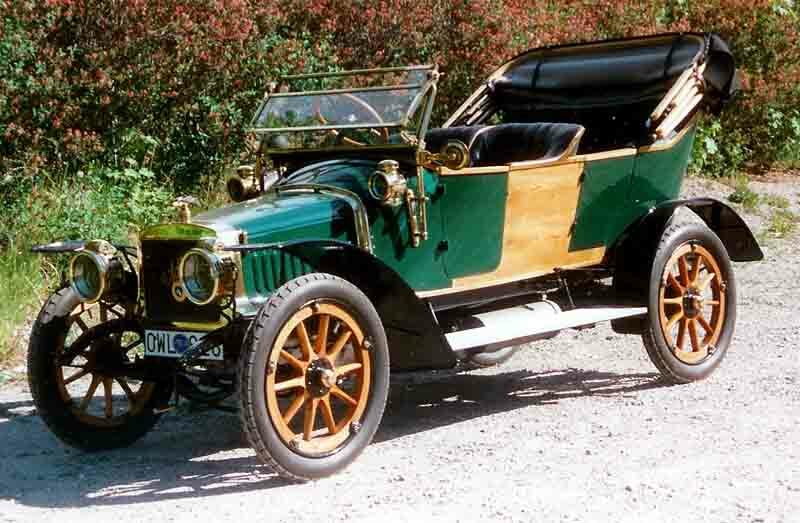 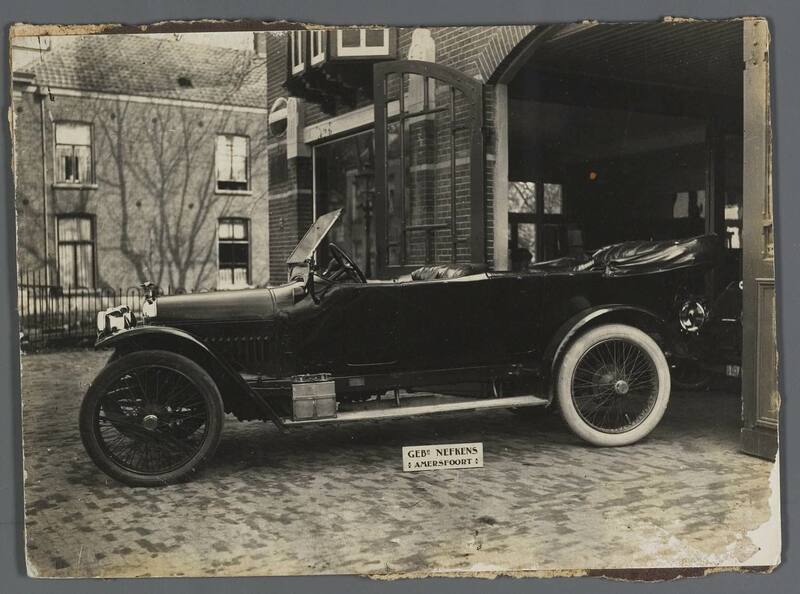 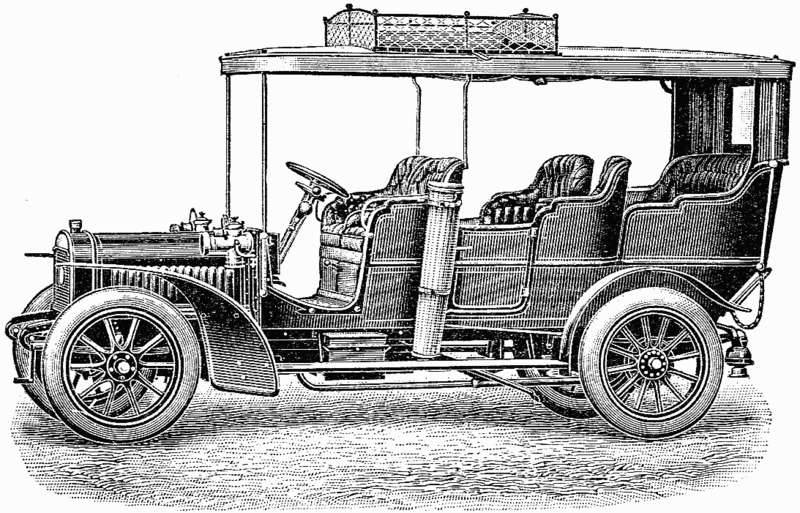 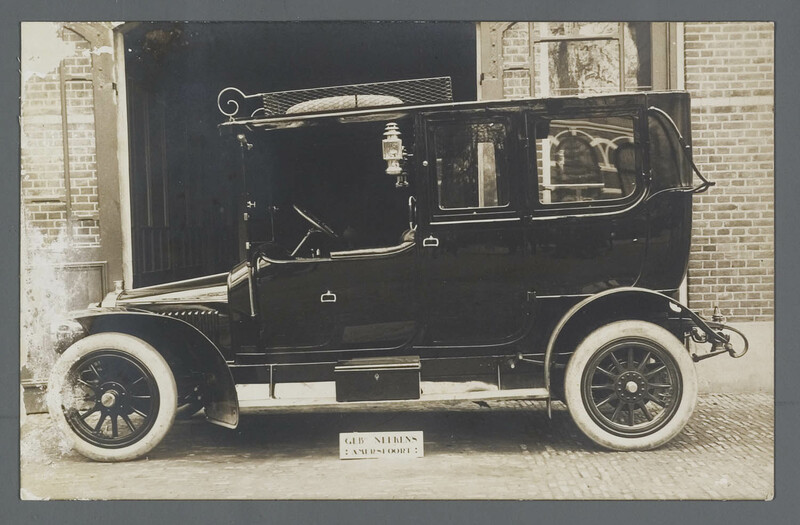 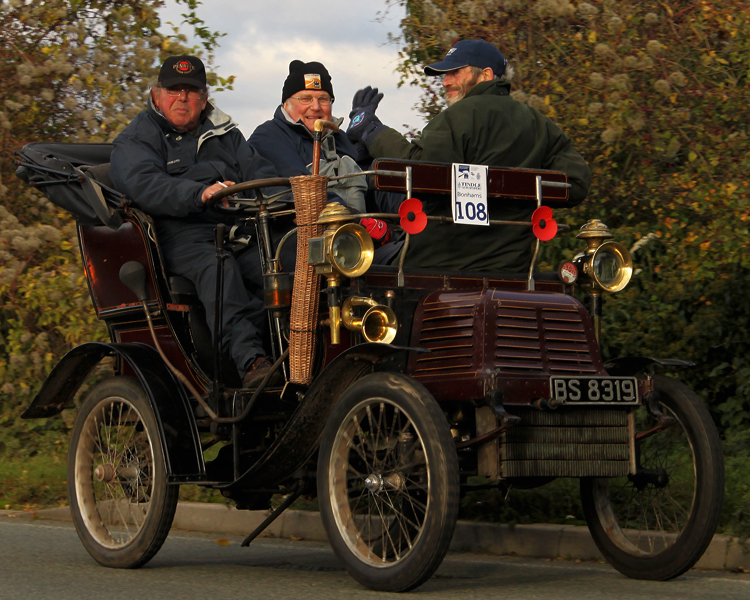 Before World War I, the company used De Dion two- and four-cylinder engines in cars that ranged from 1032 cc to 9081 cc; beginning in 1902 (the year Edmund Rumpler became technical director), they used their own engines as well. 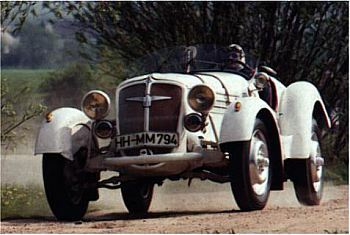 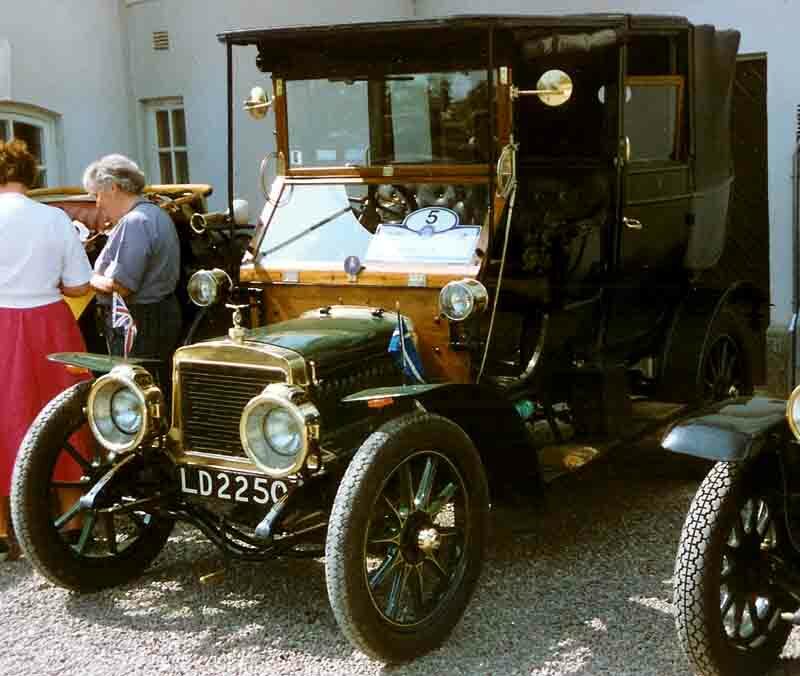 These cars, driven by Erwin Kleyer and Otto Kleyer (sons of the company founder Heinrich Kleyer) and by Alfred Theves won many sporting events. 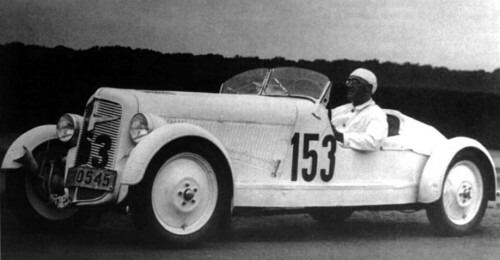 In the 1920s, Karl Irion raced many Adlers; popular models of the period included the 2298 cc, 1550 cc, and 4700 cc four-cylinders and the 2580 cc six-cylinders. 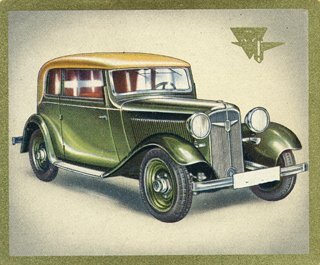 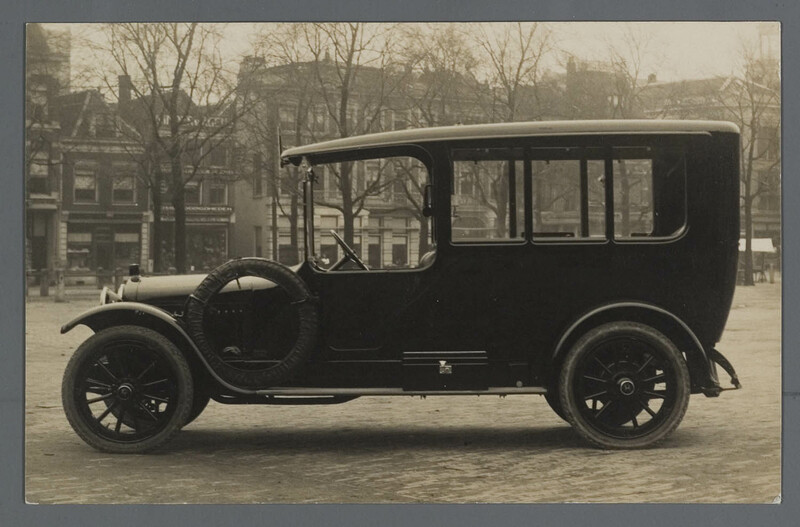 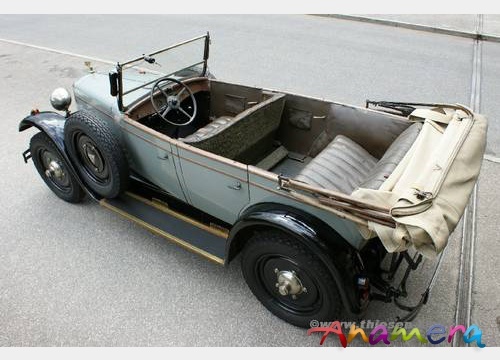 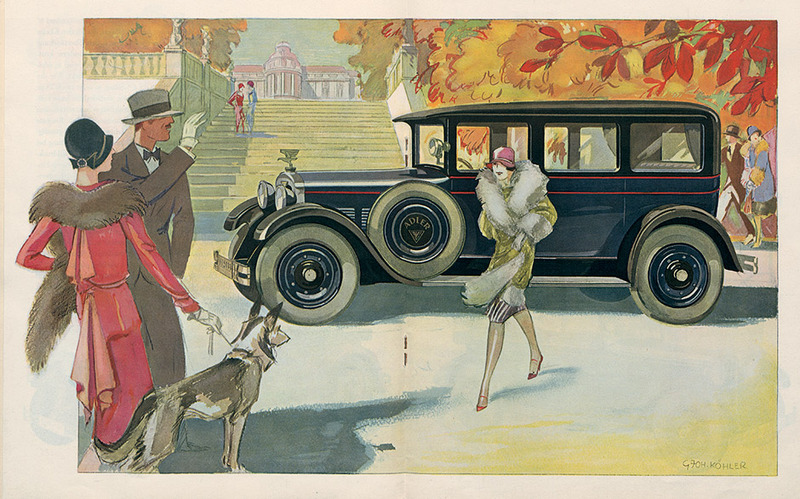 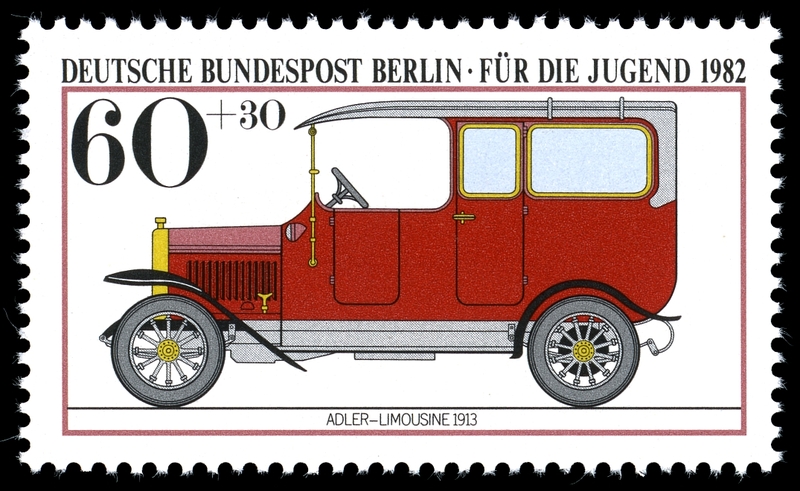 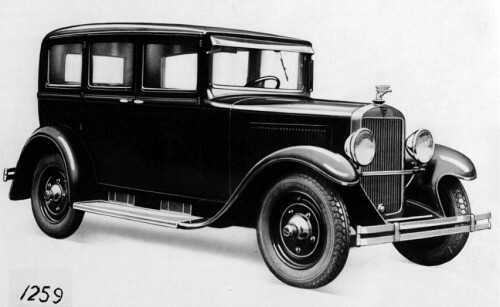 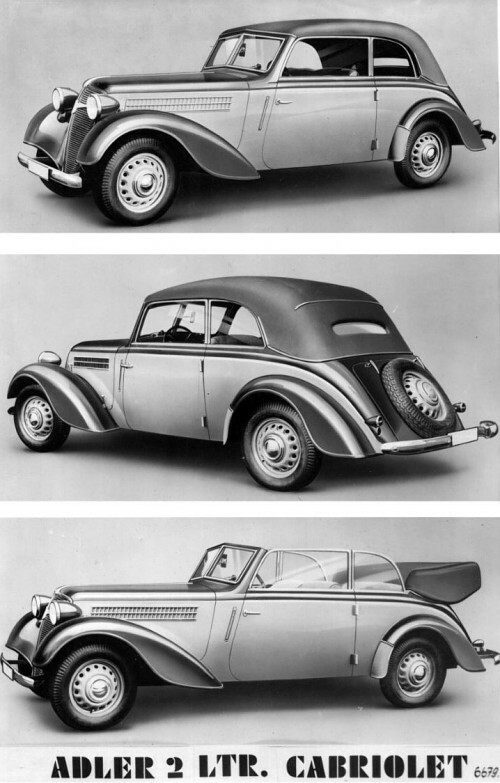 A few of the Standard models, built between 1927 and 1934, featured Gropius designed coachwork. 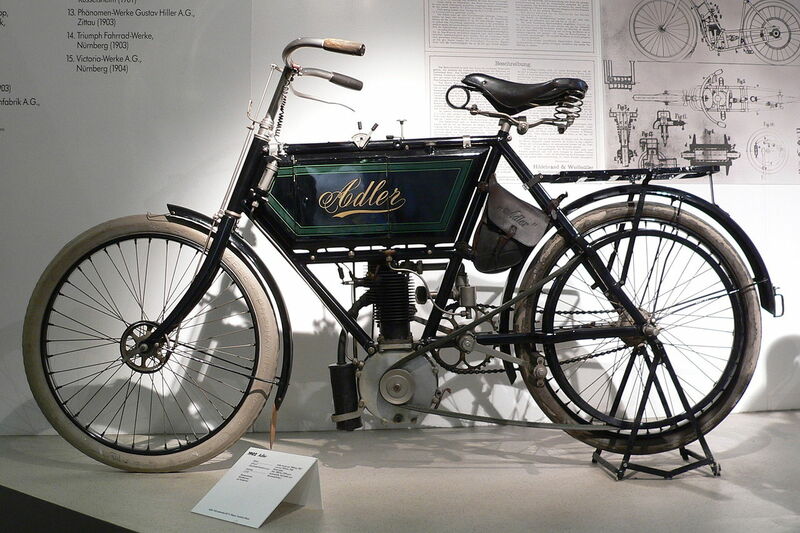 The Adler Standard 6, which entered volume production in 1927, had a 2540 cc or 2916 cc six-cylinder engine, while the Adler Standard 8 which appeared a year later use a 3887 cc eight-cylinder engine. 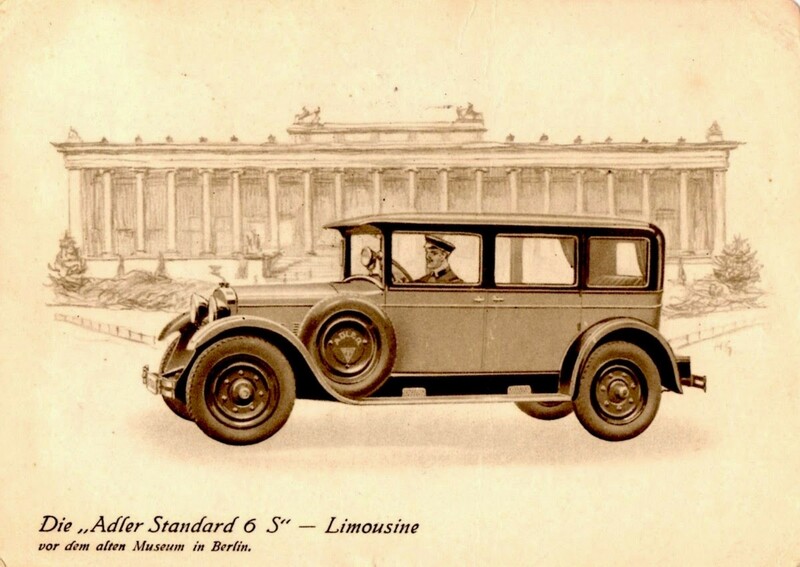 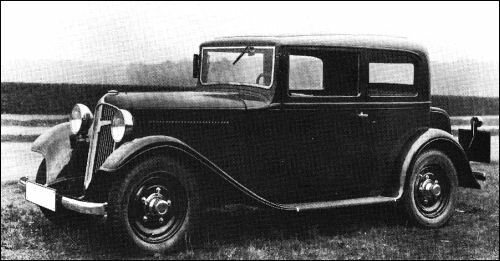 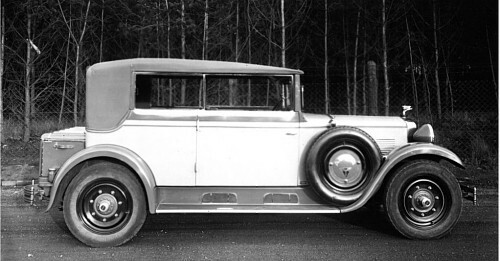 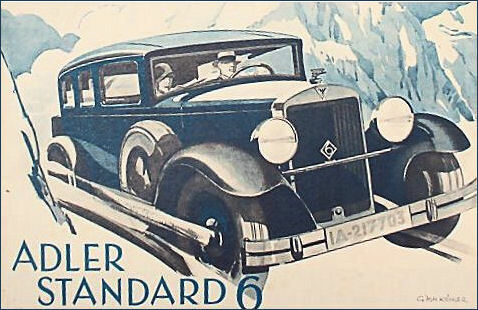 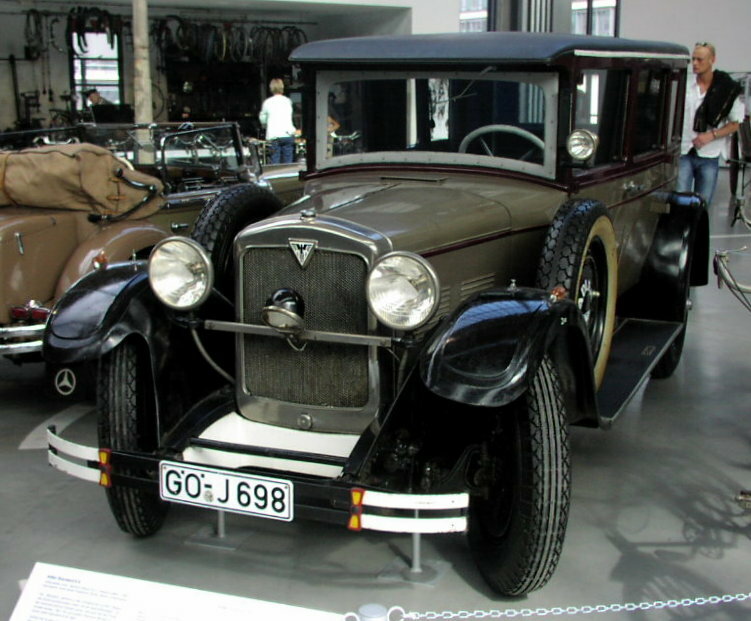 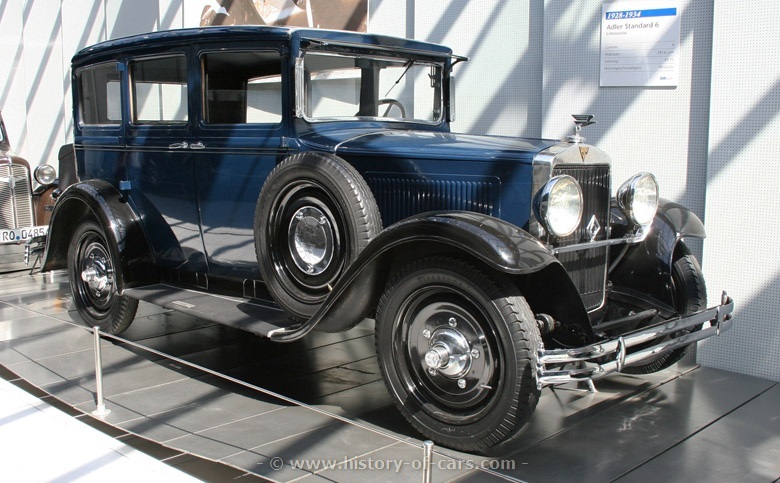 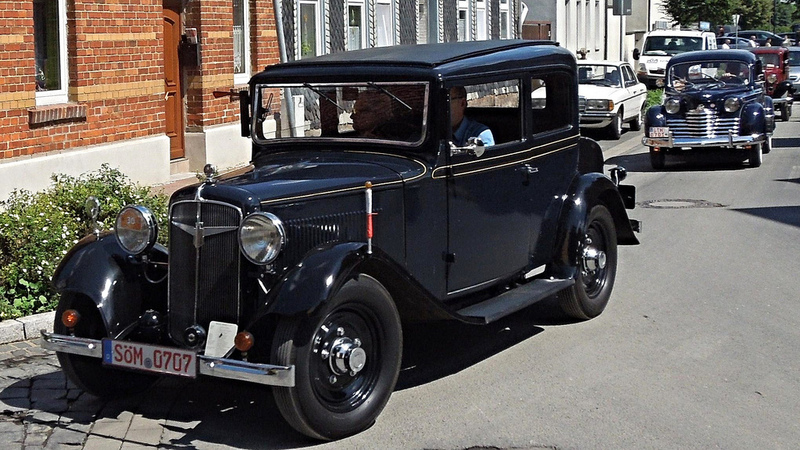 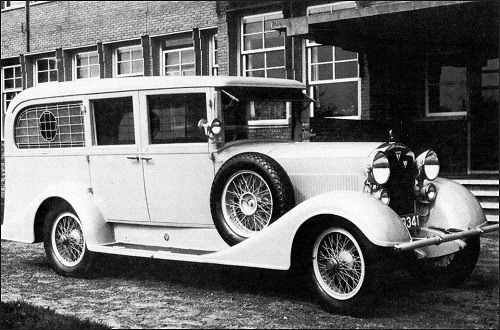 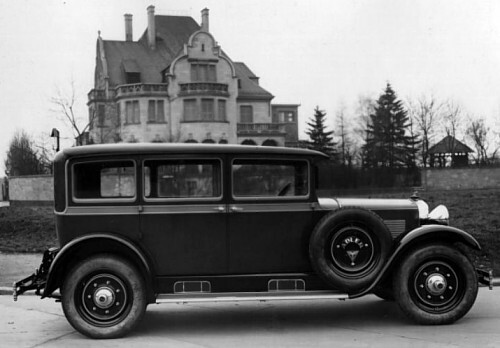 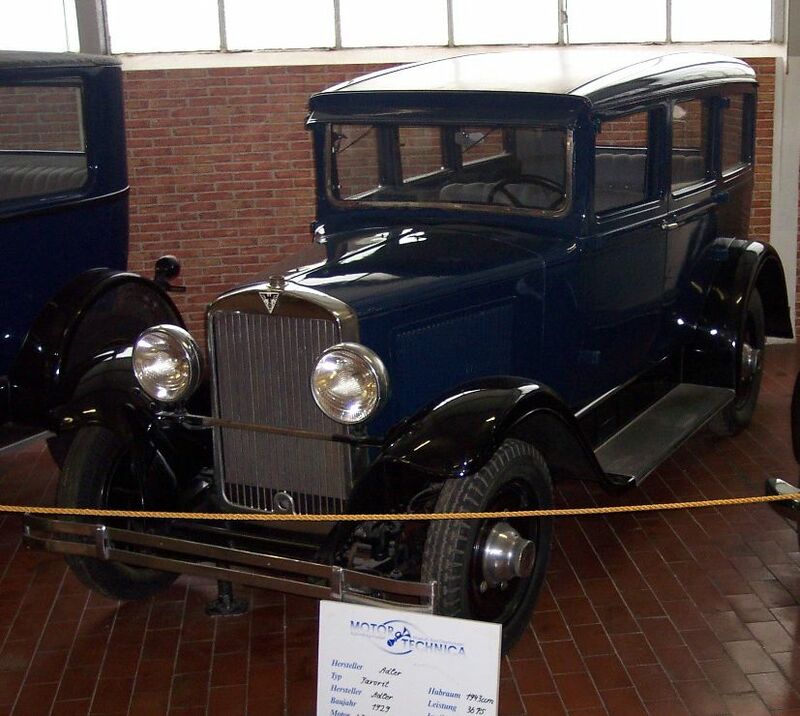 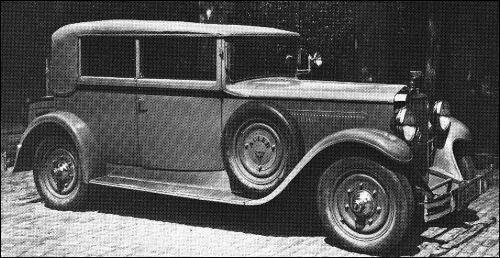 The Standard 6, first seen in public at the Berlin Motor Show in October 1926 was the first Continental European car to use hydraulic brakes (the Triumph 13/35 offered them in the UK in 1924 and Duesenberg offered them in the US in 1921), when it was fitted with an ATE-Lockheed system. 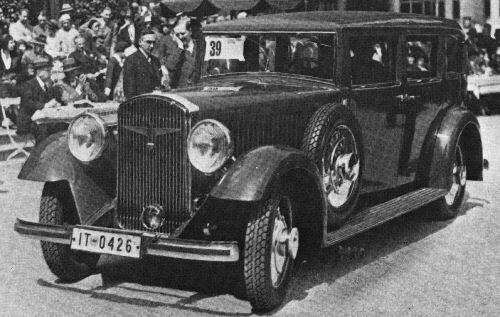 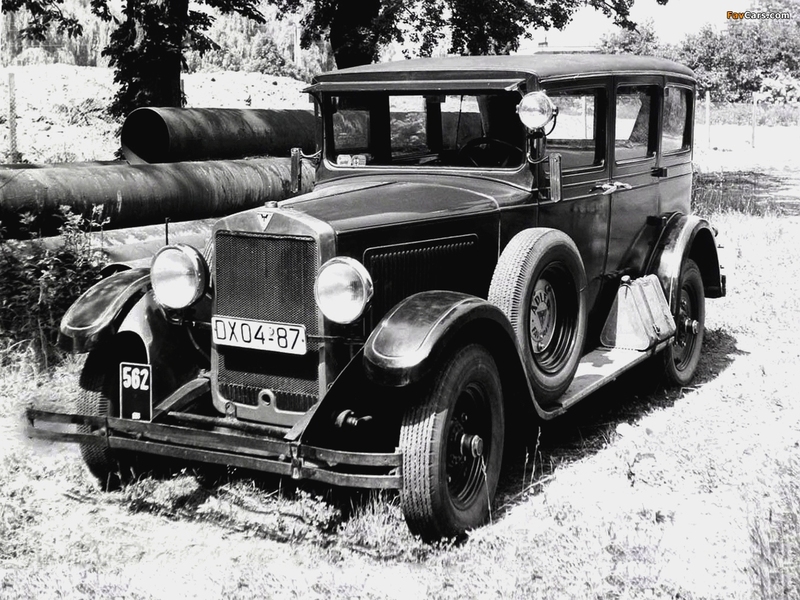 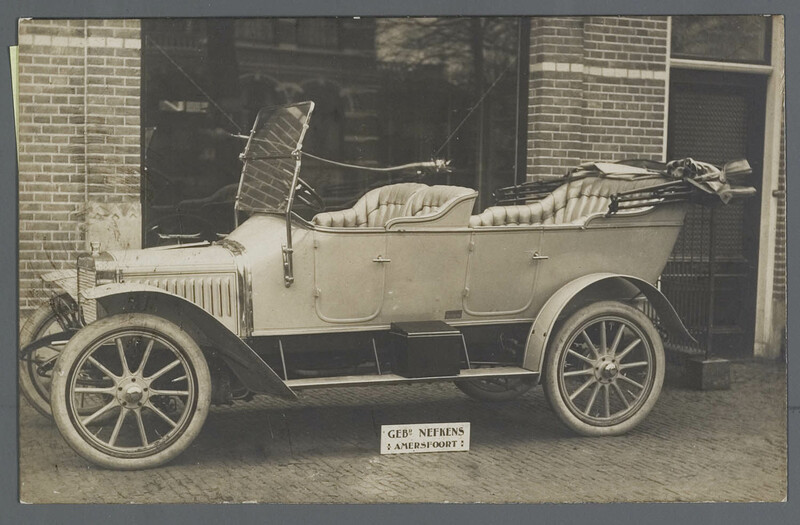 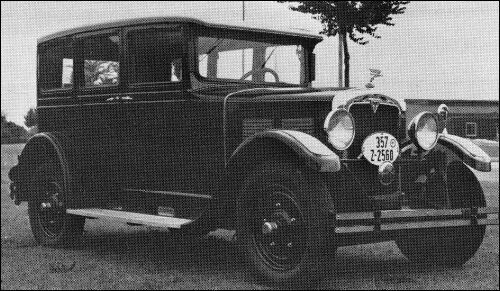 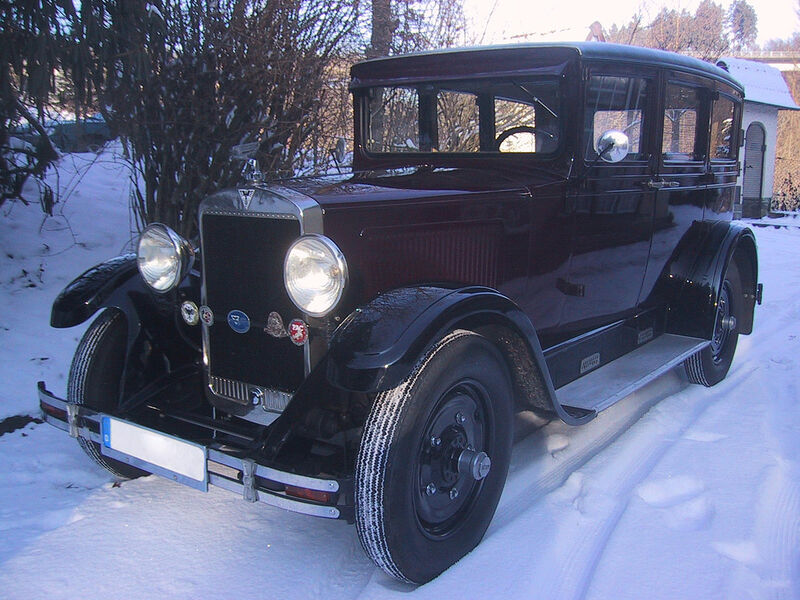 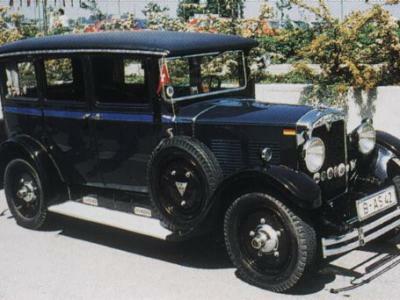 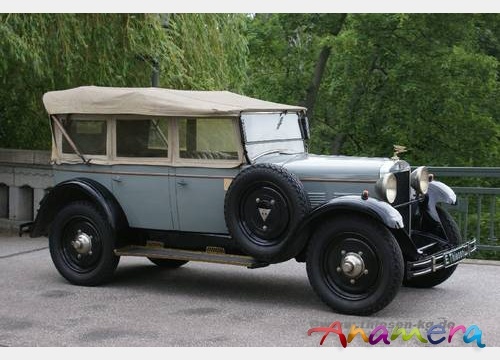 1927 to 1929 Clärenore Stinnes was the first to circumnavigate the world by car, in an Adler Standard 6. 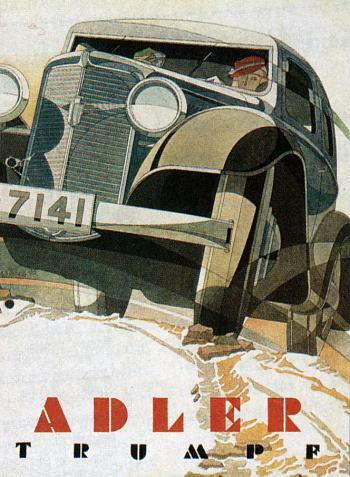 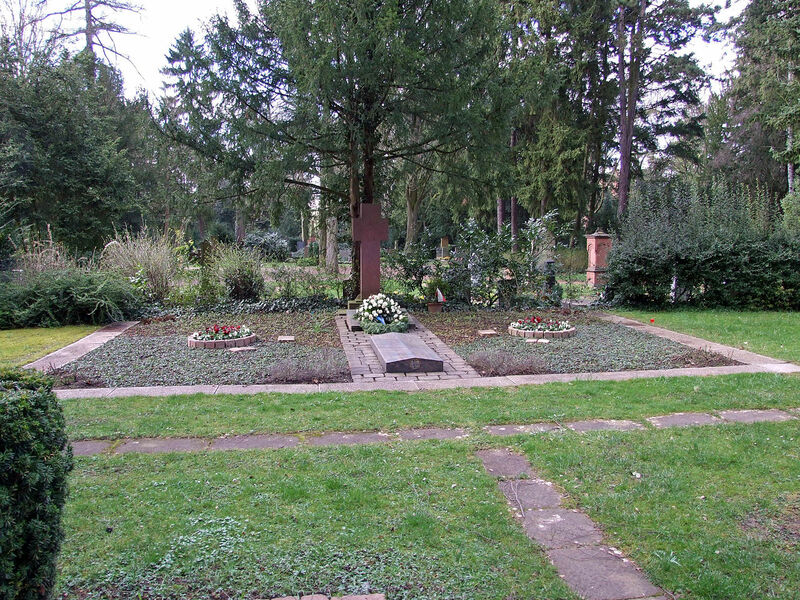 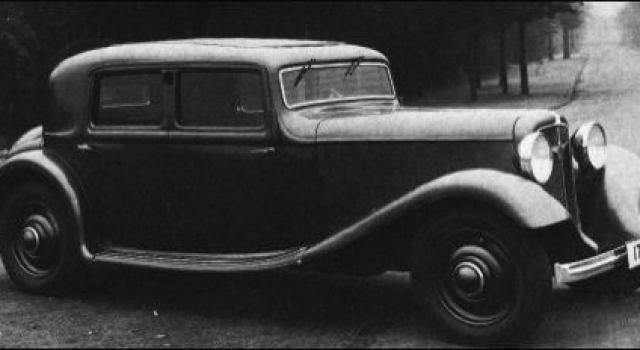 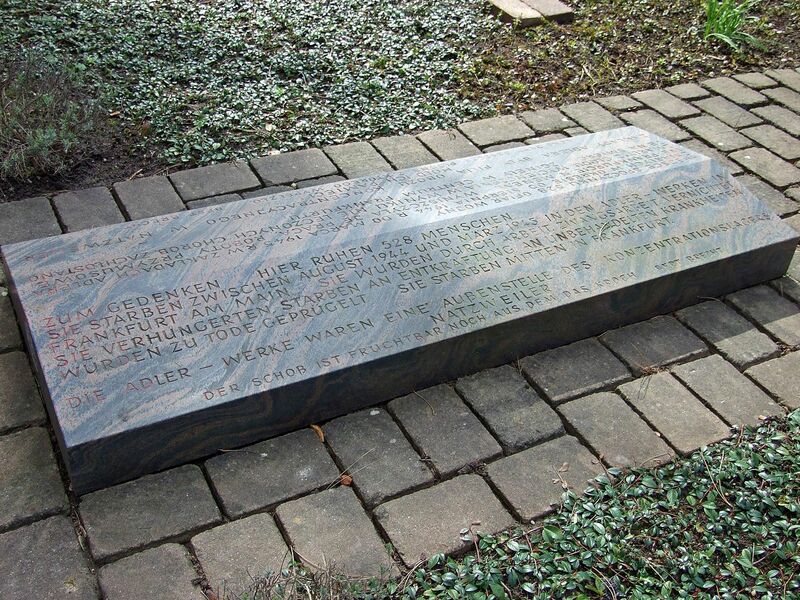 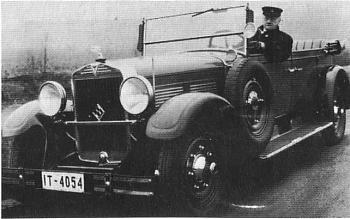 In December 1930, Adler assigned the German engineer Josef Ganz, who was also editor-in-chief of Motor-Kritik magazine, as a consultant engineer. 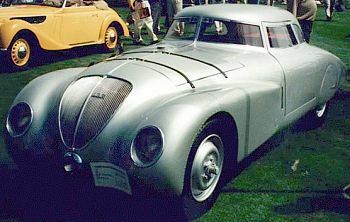 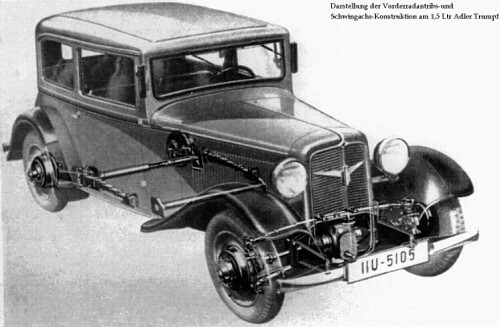 In the first months of 1931, Ganz constructed a lightweight Volkswagen prototype at Adler with a tubular chassis, a mid-mounted engine, and independent wheel suspension with swing-axles at the rear. 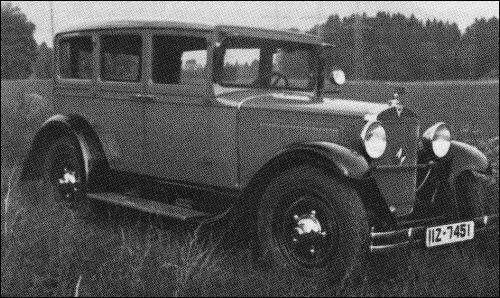 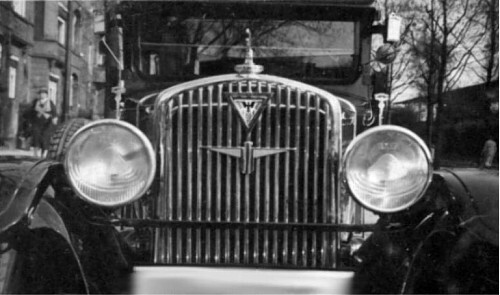 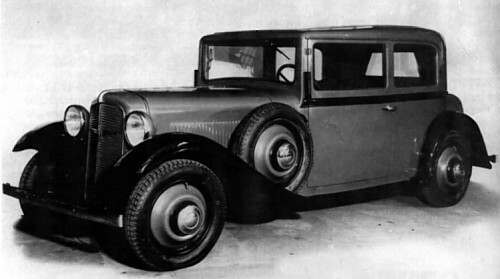 After completion in May 1931, Ganz nicknamed his new prototype Maikäfer (May Beetle). 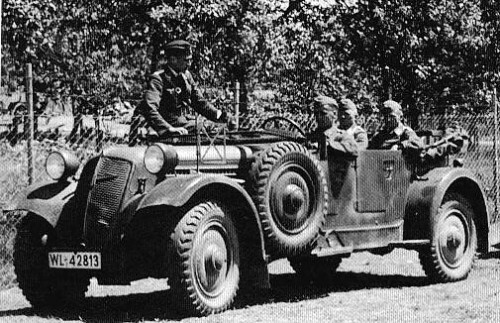 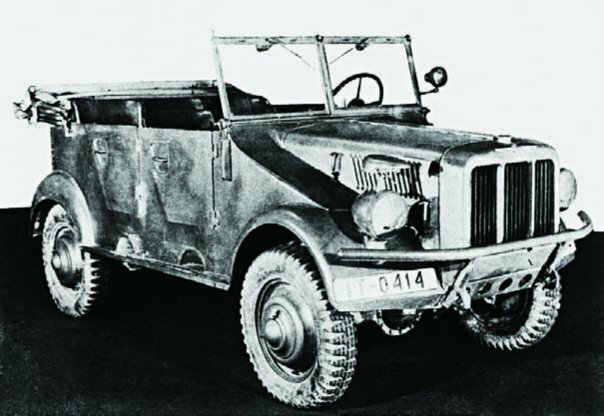 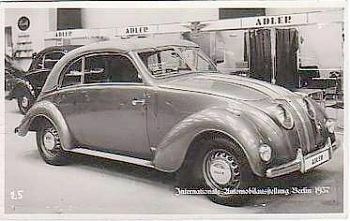 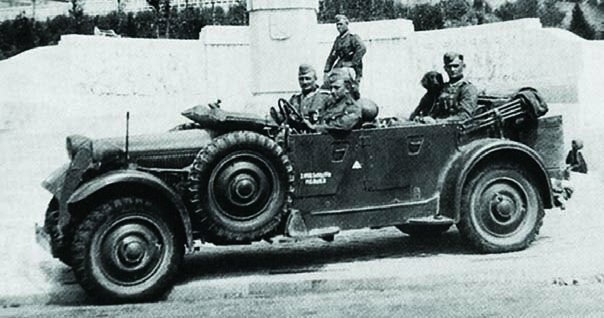 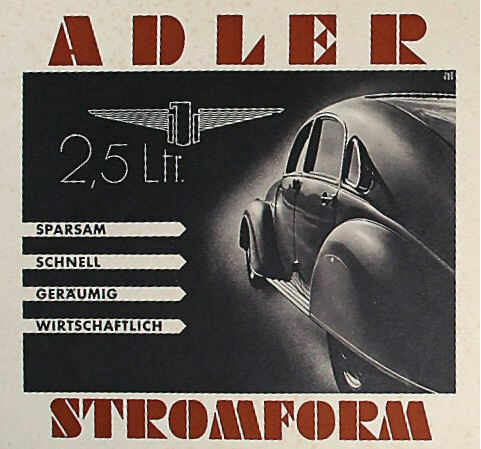 After a shift in management at Adler, further development of the Maikäfer was stopped as the company’s new technical director Hans Gustav Röhr concentrated on front-wheel driven cars. 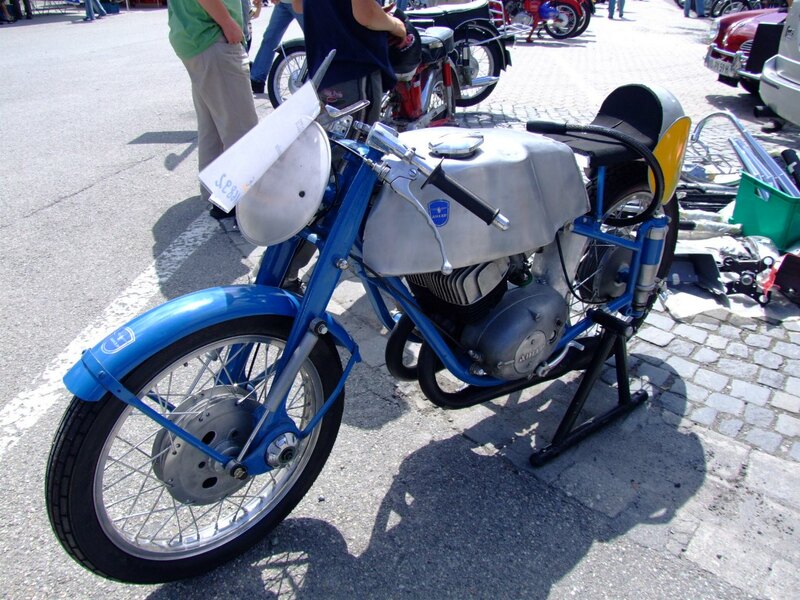 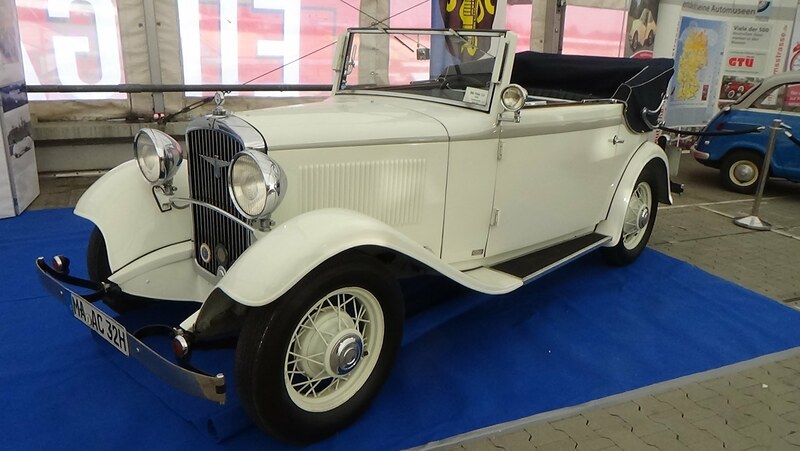 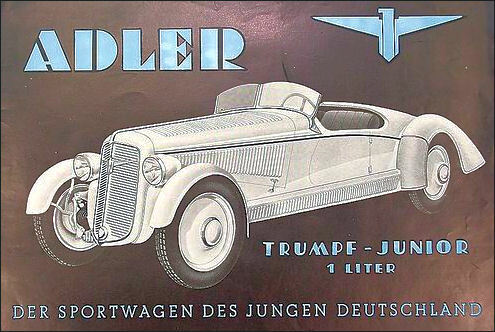 In the 1930s, the company introduced front-wheel drive Trumpf and Trumpf-Junior models, ranging from 995 cc to 1645 cc four-cylinder sv engines. 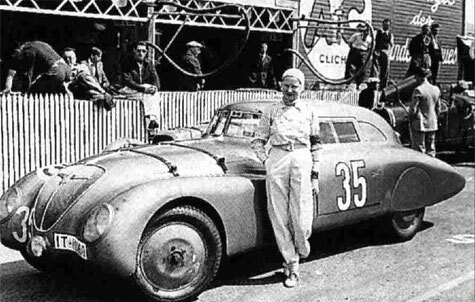 These gained many successes in races, including in the Le Mans race. 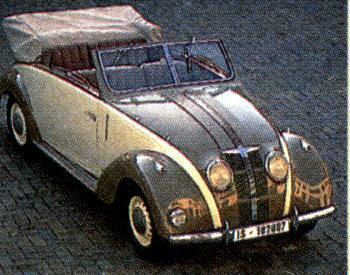 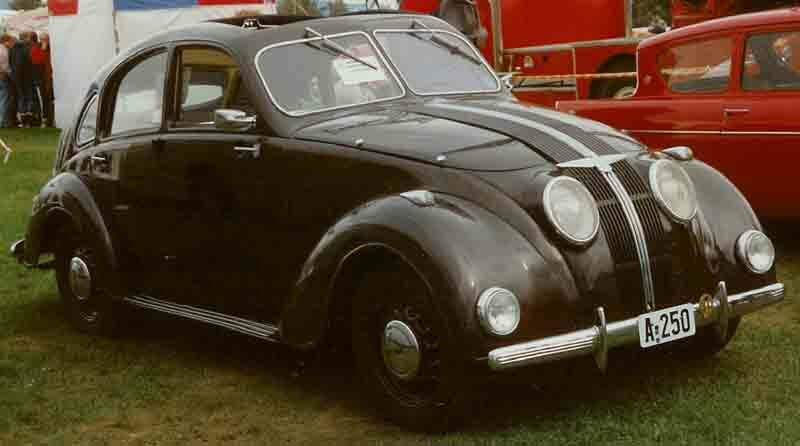 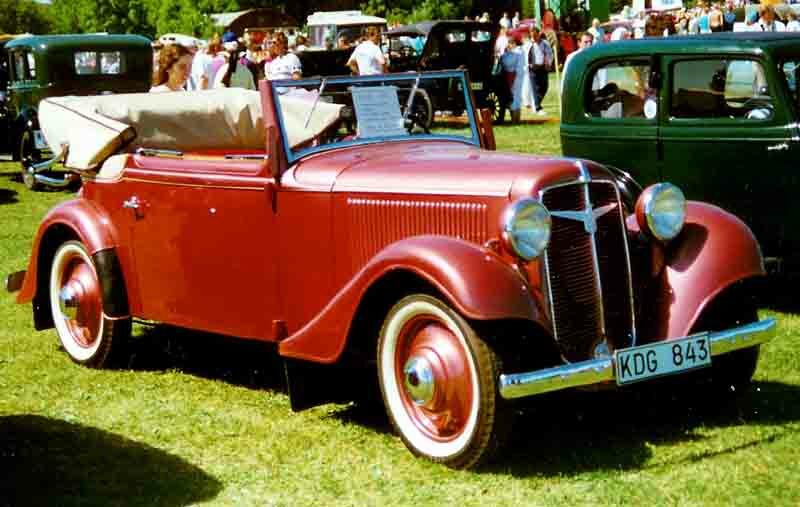 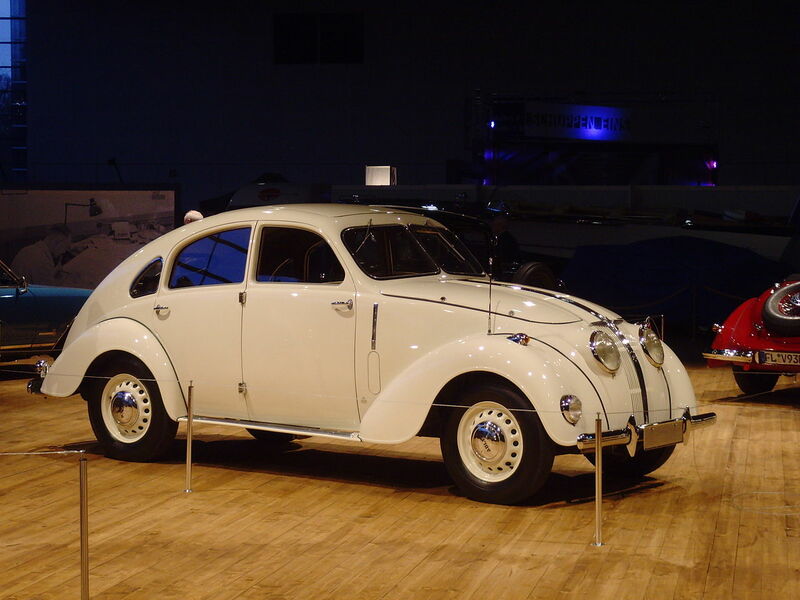 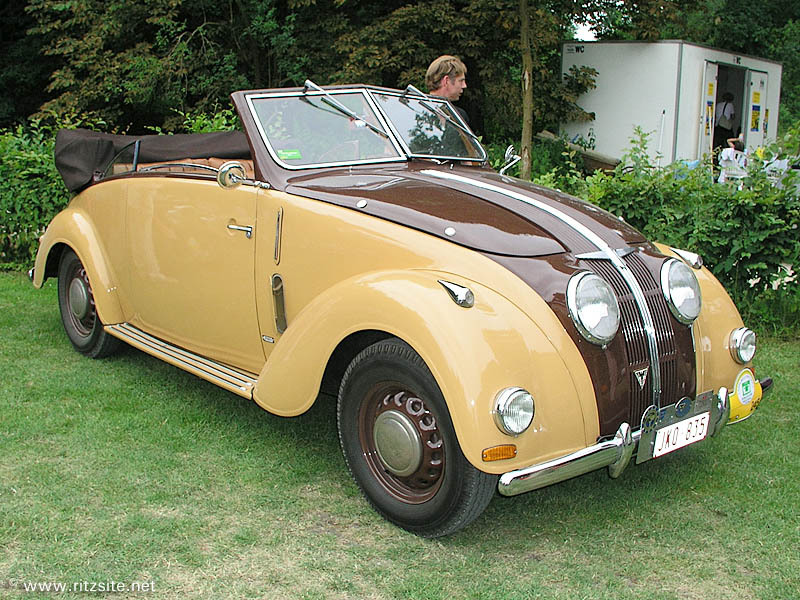 The 1943 cc Favorit, the 2916 cc six-cylinder Diplomat (featuring 65 hp (48 kW) at 3800 rpm, and the 1910 cc four-cylinder and 2494 cc six-cylinder models (with and Karmann bodywork) were all rear-driven; these were built until World War II. 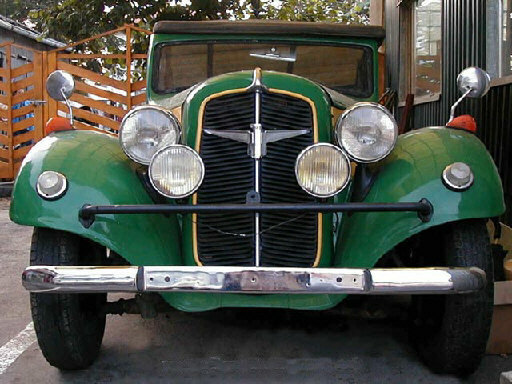 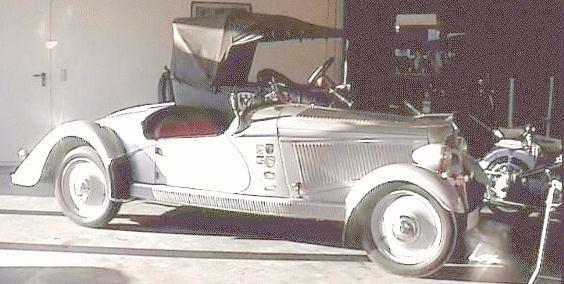 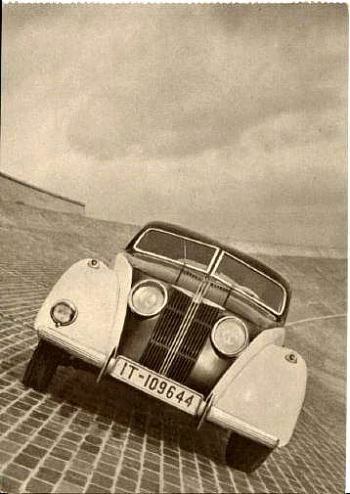 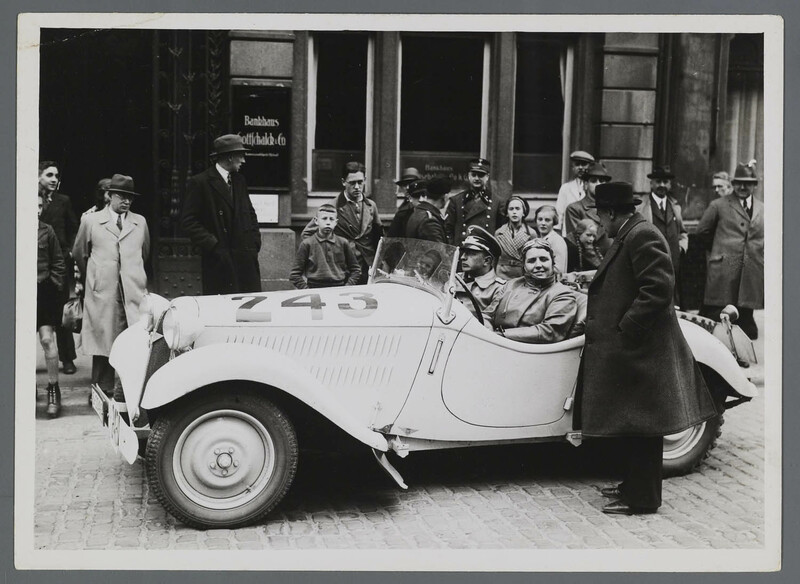 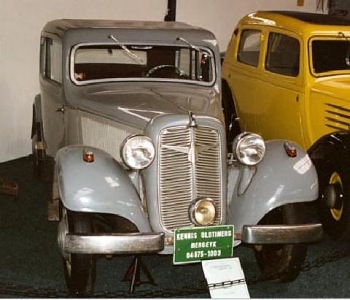 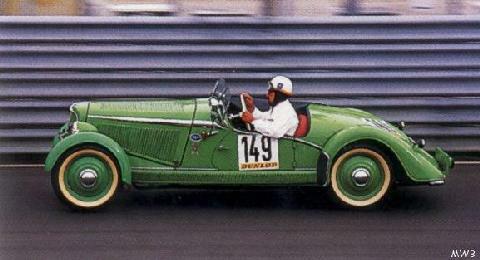 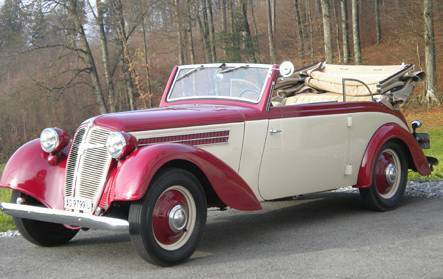 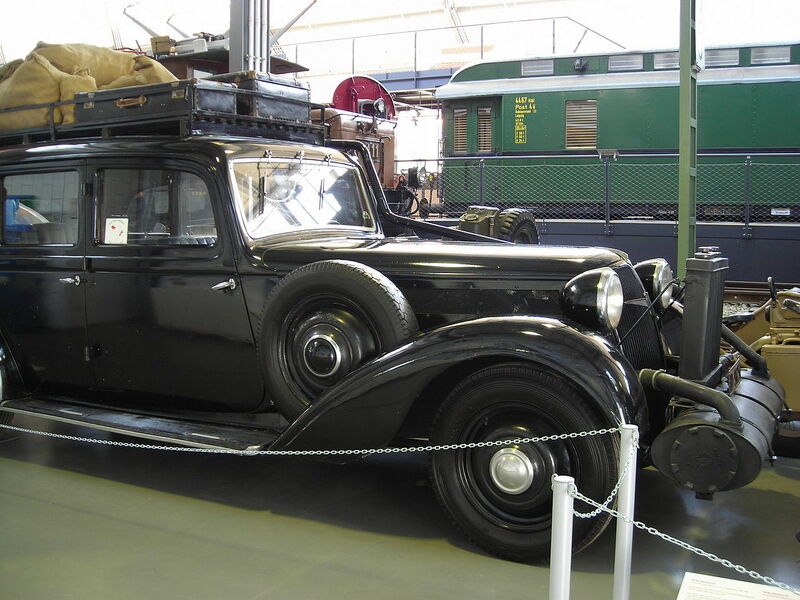 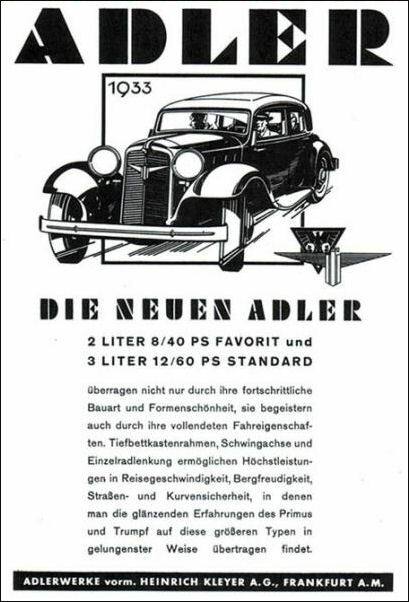 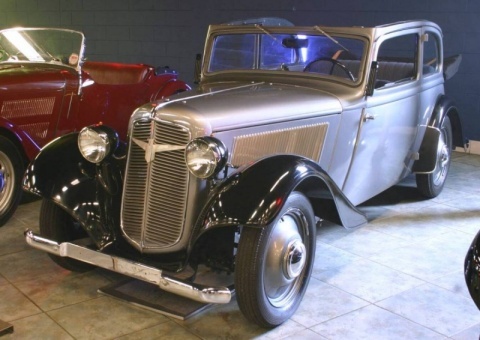 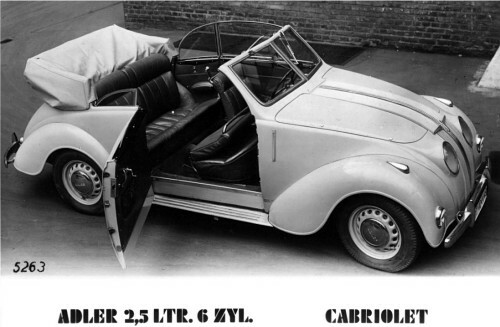 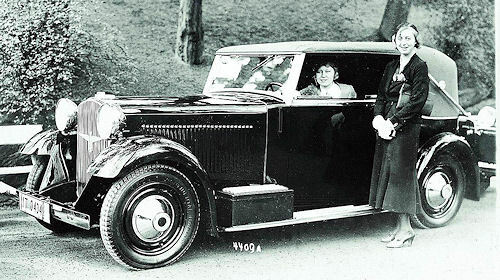 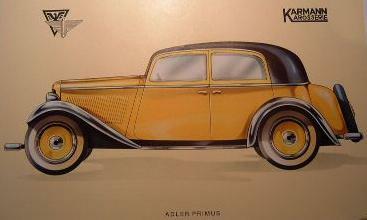 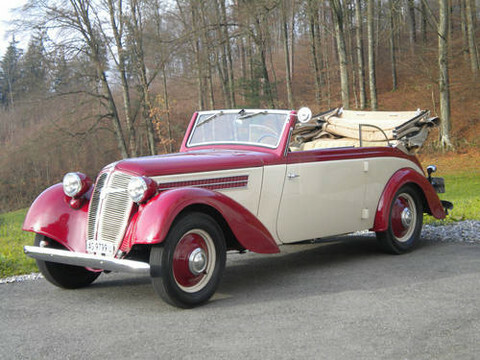 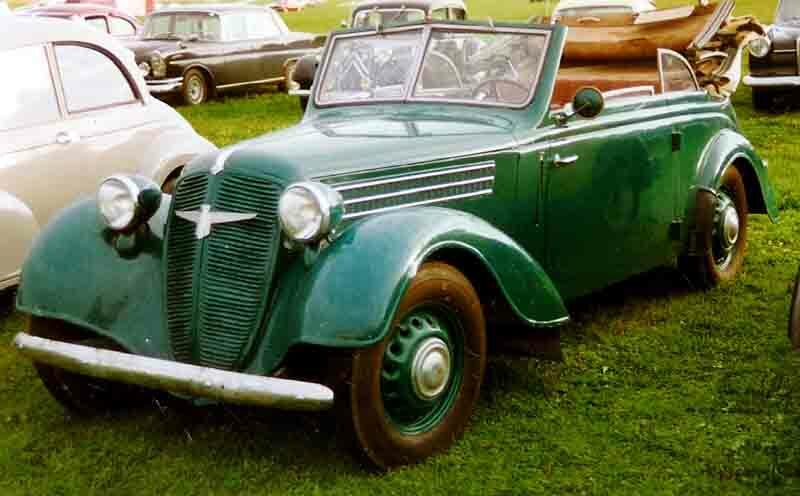 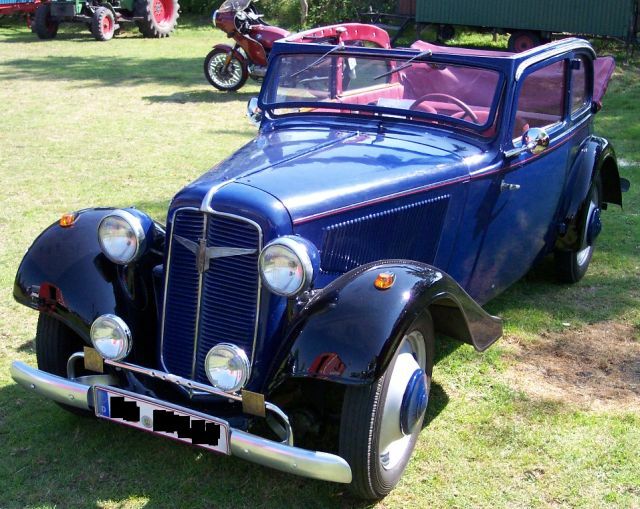 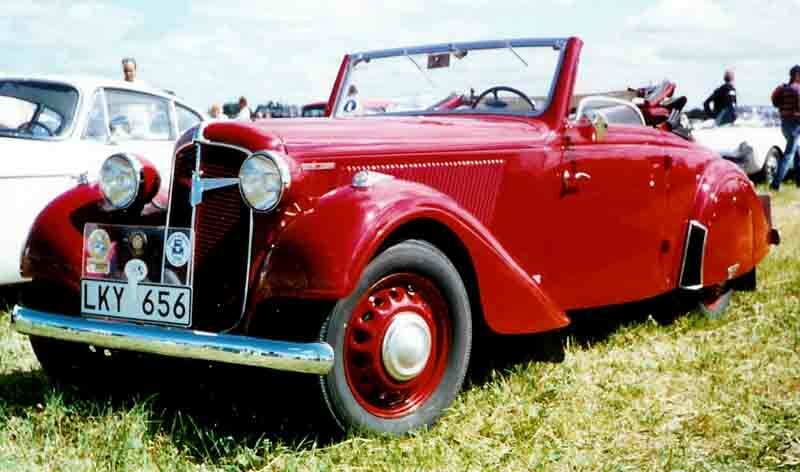 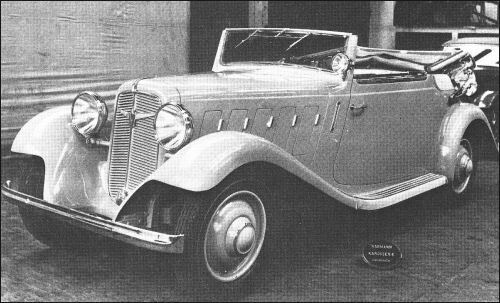 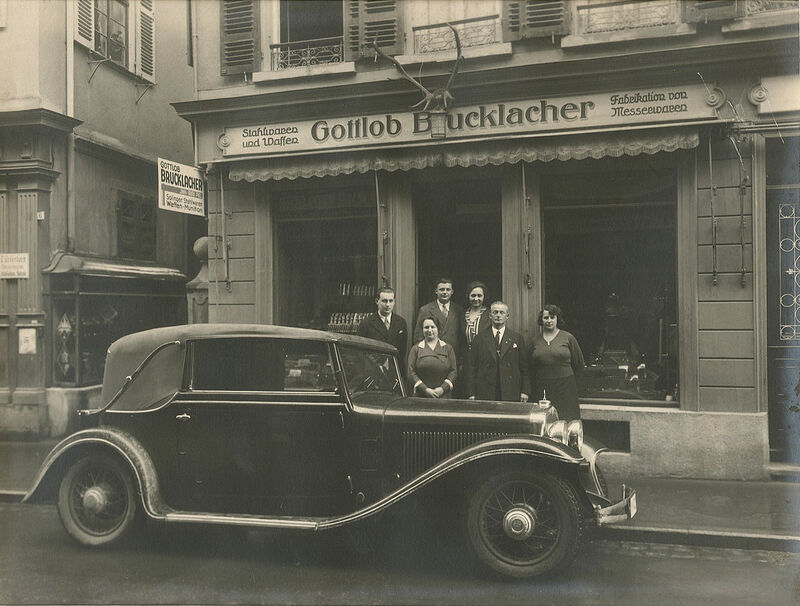 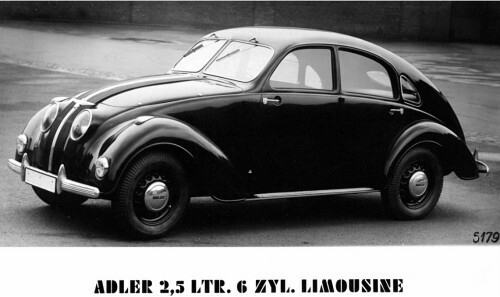 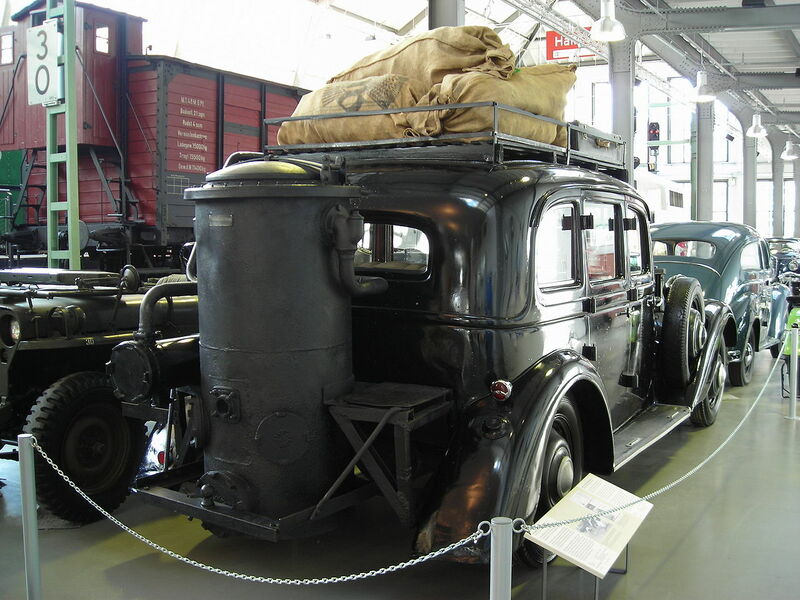 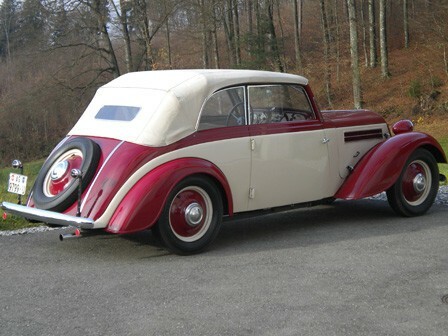 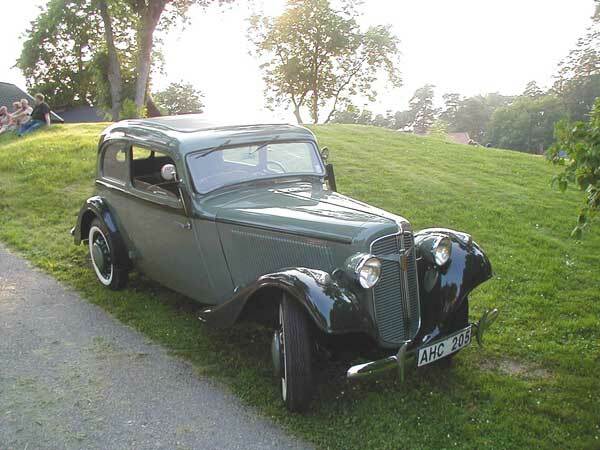 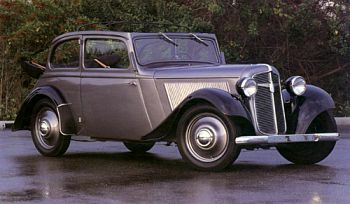 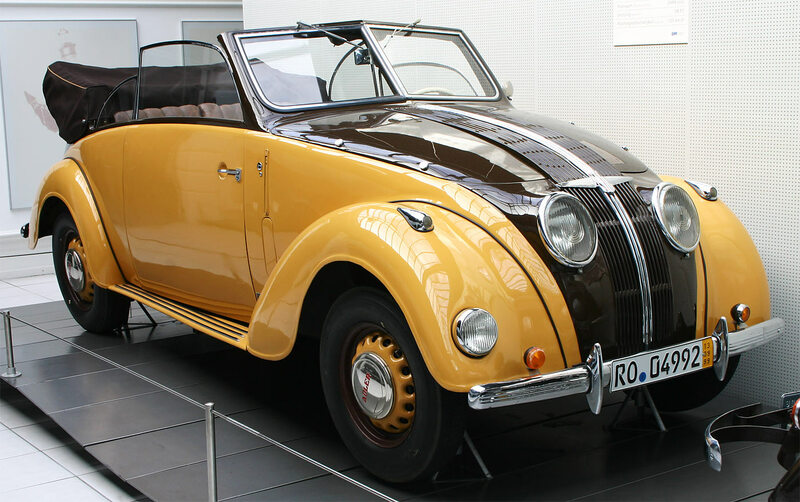 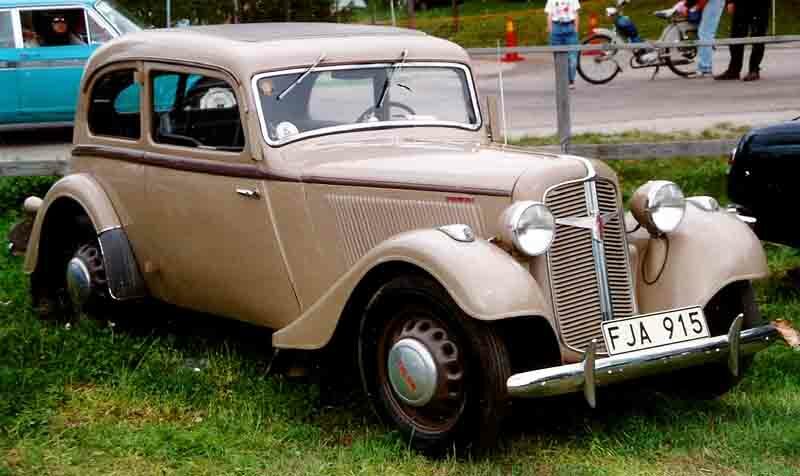 The last new car introduced by Adler was the 2.5 Liter of 1937; it had a six-cylinder engine producing 58 hp (43 kW). 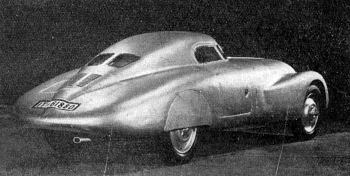 Thanks to a streamlined body designed by Paul Jaray, this car could run at 125 km/h (78 mph). 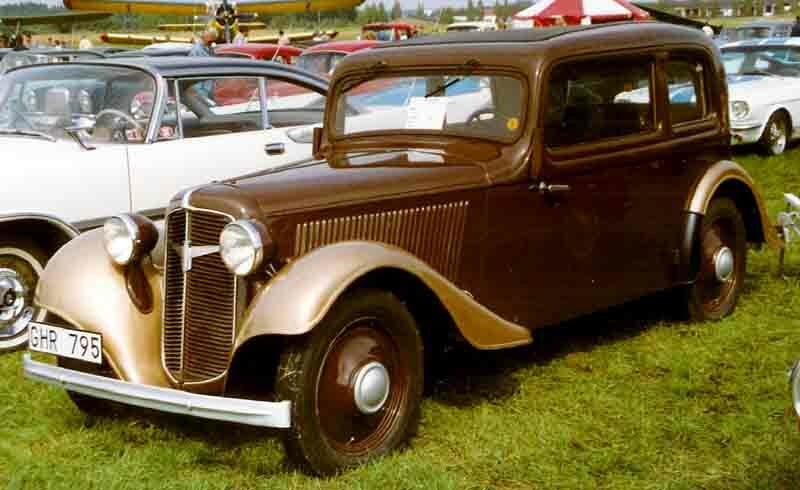 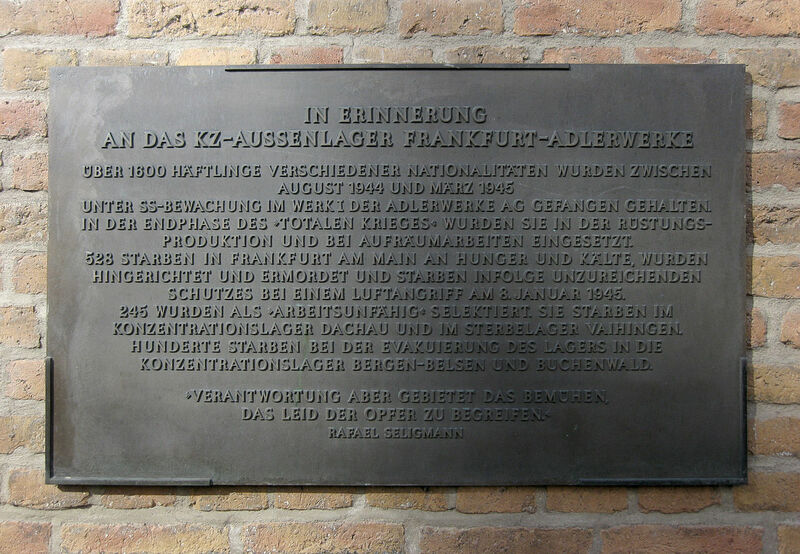 After World War II, a decision was made to not resume automobile construction. 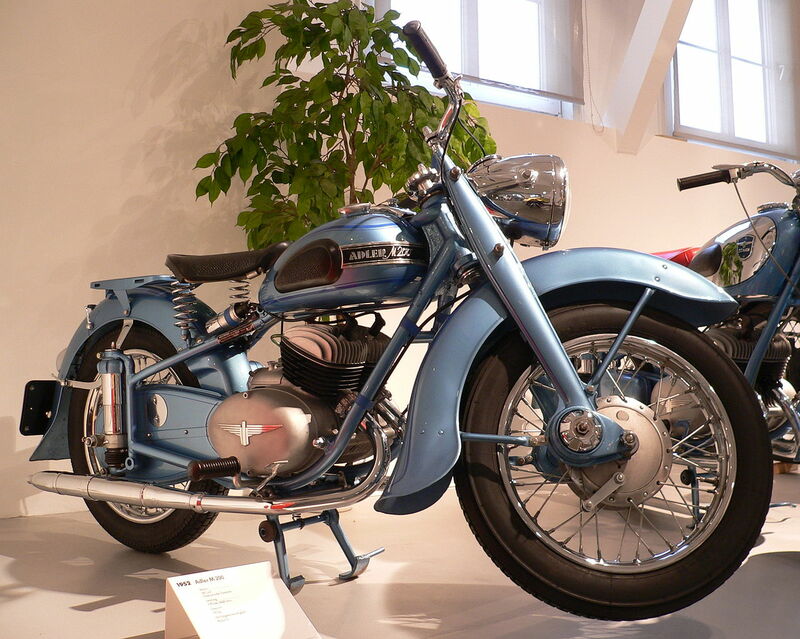 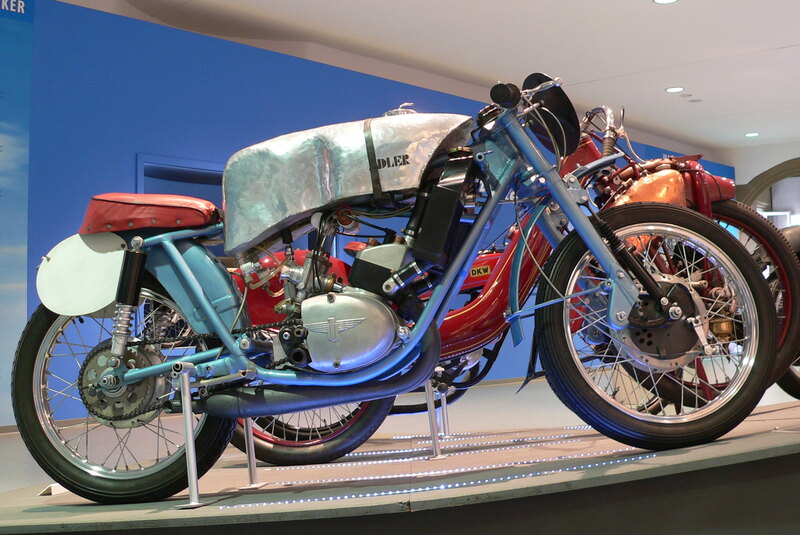 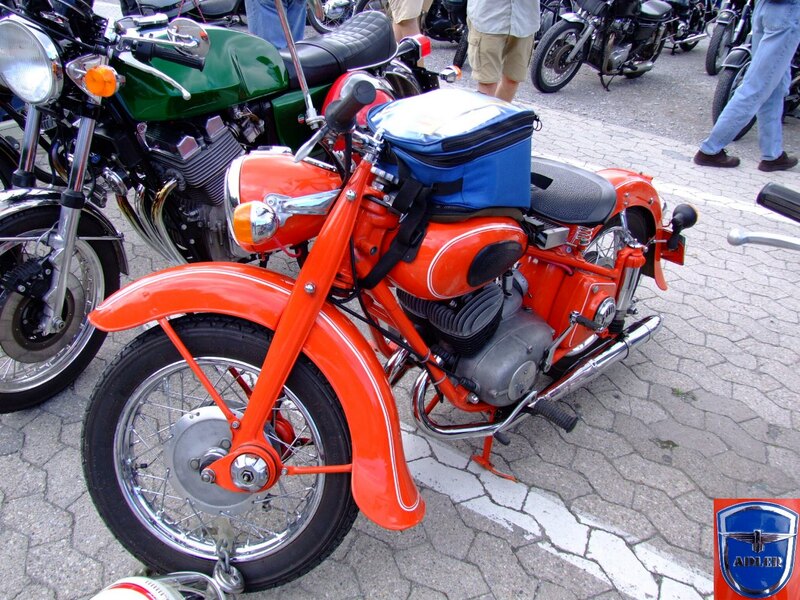 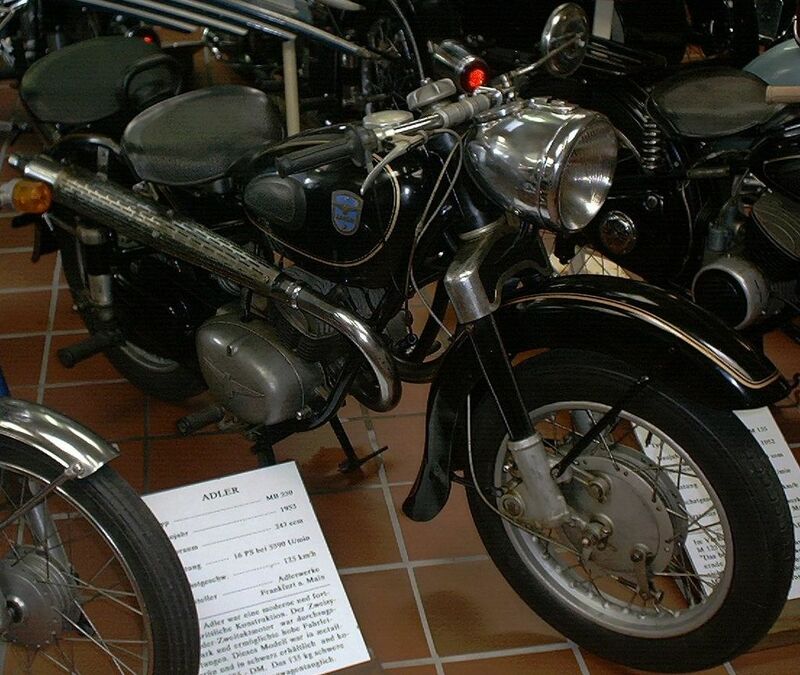 Motorcycle production resumed in 1949 and continued for 8 years, leading to the production of the MB 250S. 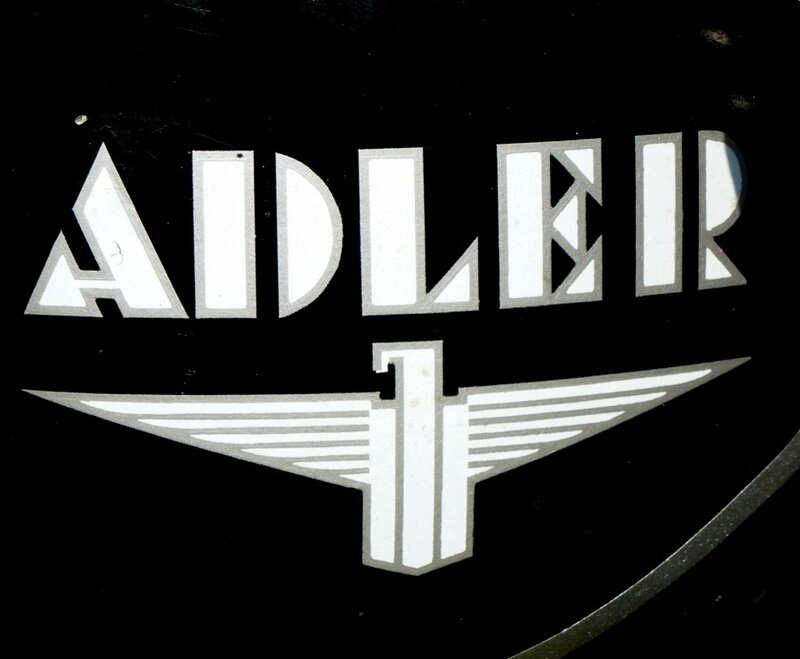 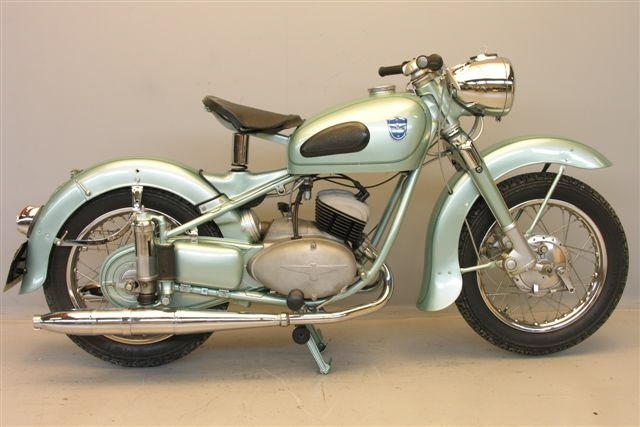 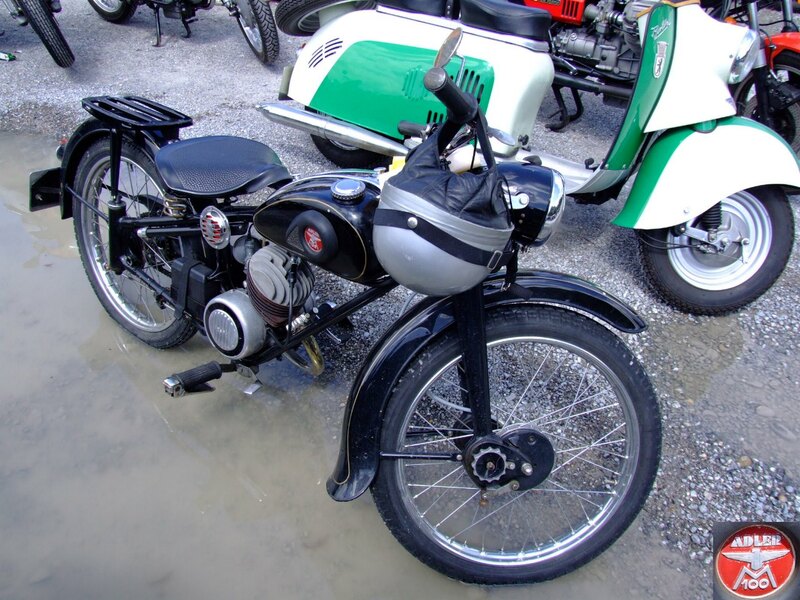 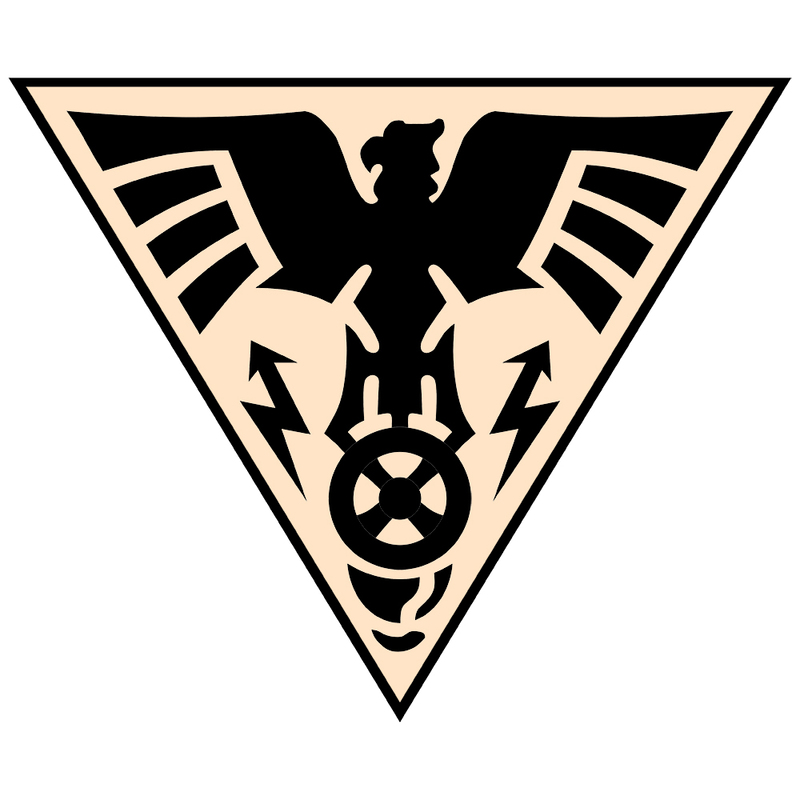 As part of the Allies war reparations, Adler motorcycle designs had been taken by BSA in Britain and later used by the British company Ariel to produce their ‘Arrow’ and ‘Leader’ models. 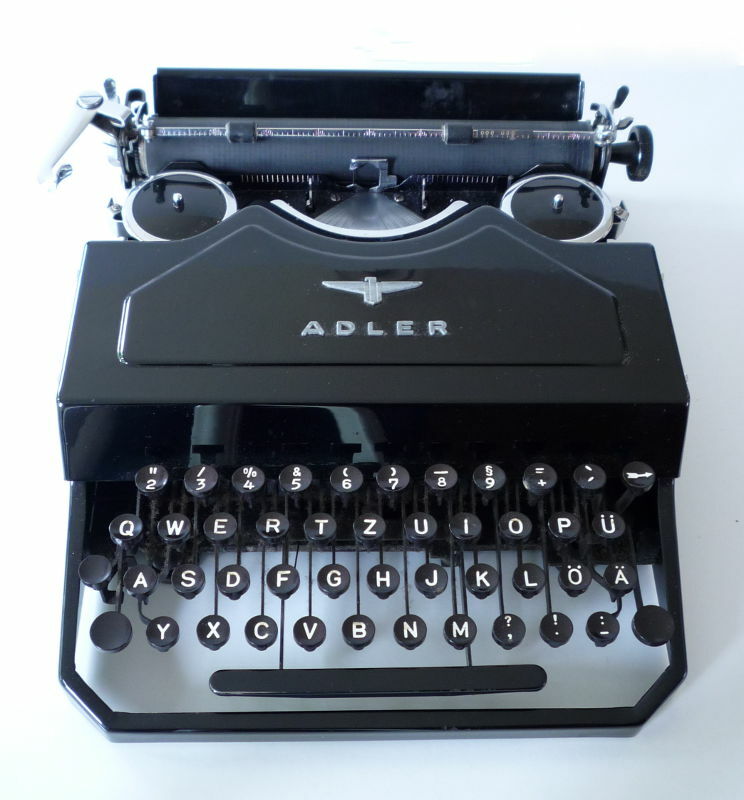 Increasingly, Adler focused on the manufacture of office equipment. 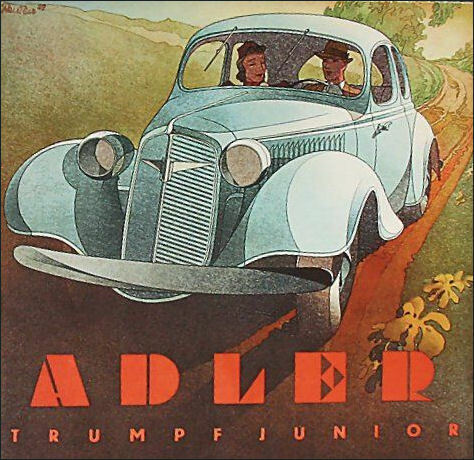 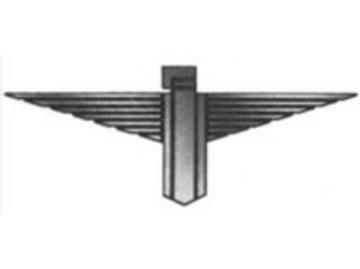 The company associated with Triumph to form Triumpf-Adler, and was taken over by Grundig in 1957, then later by Olivetti. 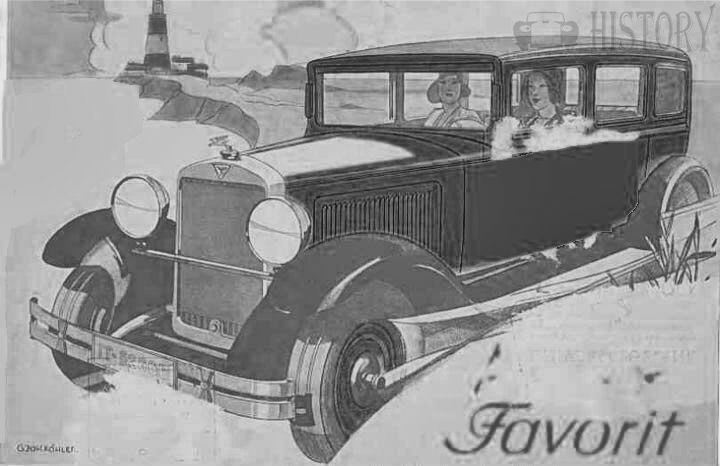 Jump up^ Lyons, Pete. 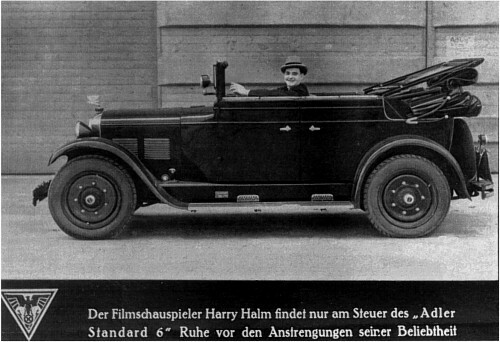 “10 Best Ahead-of-Their-Time Machines”, in Car and Driver, 1/88, p.73. 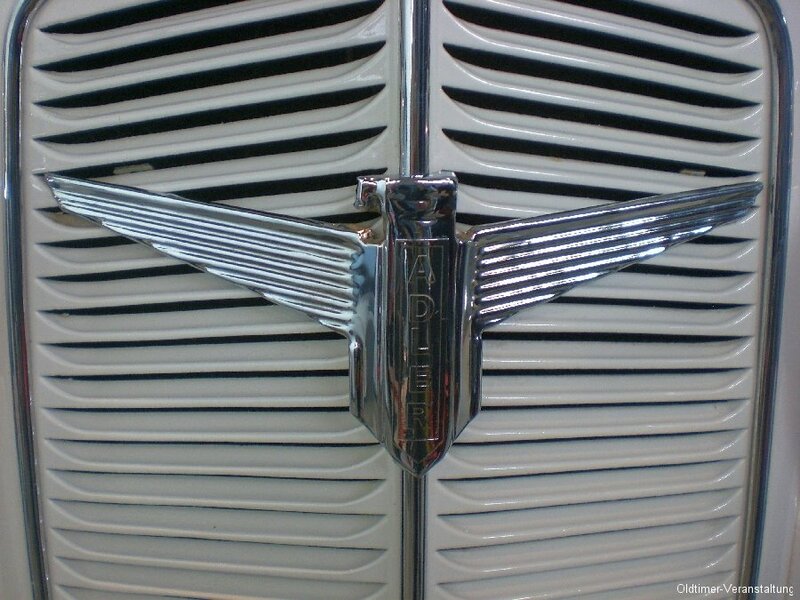 Jump up^ Odin, L.C. 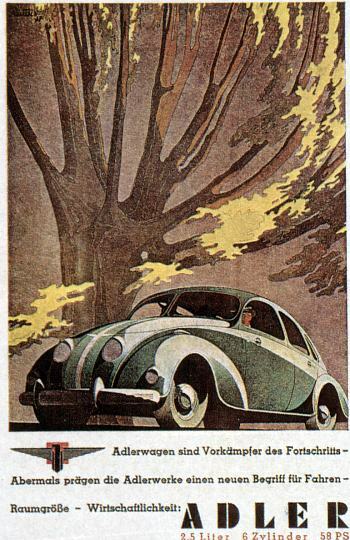 World in Motion 1939, The whole of the year’s automobile production. 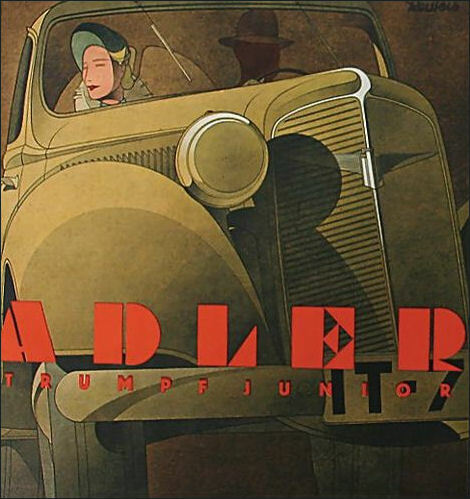 Belvedere Publishing, 2015. 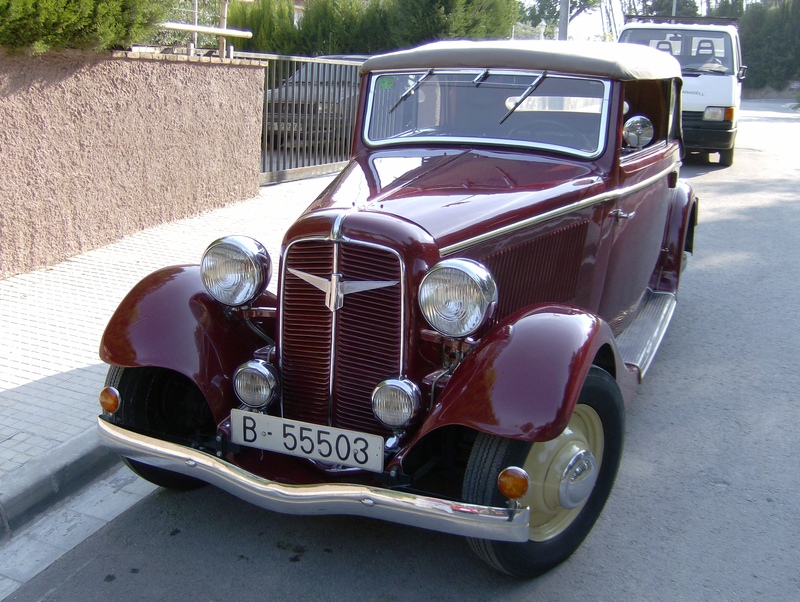 ASIN: B00ZLN91ZG.